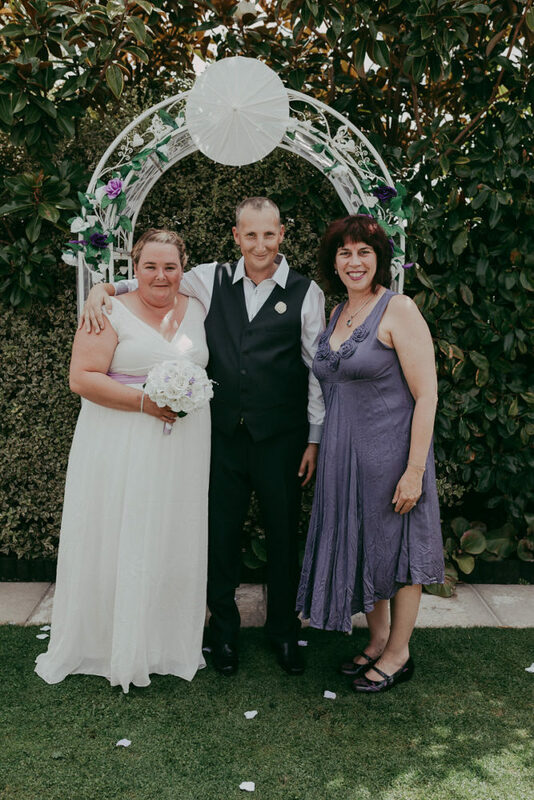 Well what can we say about working with Beth for our magical day…..
From the moment we met, Beth was 100% focused on us and our day. Beth paid very close attention to the finer details of US as a couple. 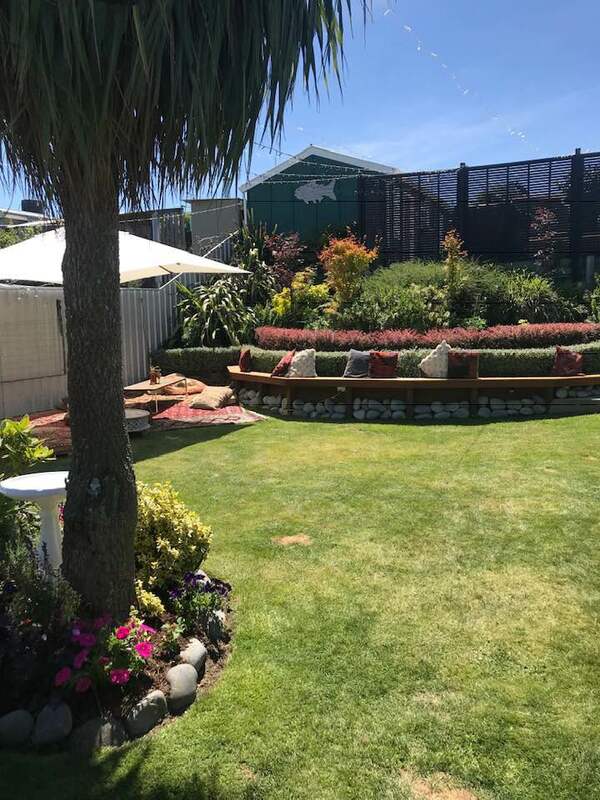 From where and when we first met to the passing years before we met up again and I made NZ my home. Beth informed us along the way of what was happening and when. Beth included everyone in her notes including those who are no longer with us. 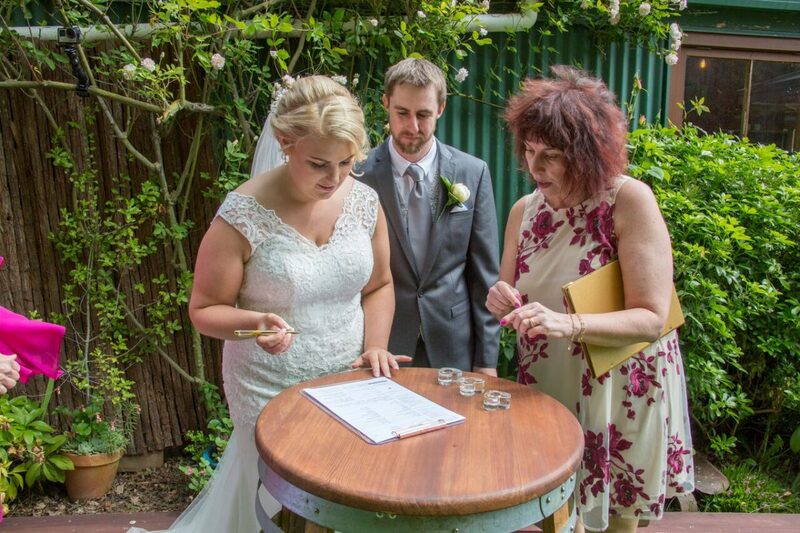 We will recommend Beth to anyone who wants a Celebrant that is 100% focused on them on their special day. 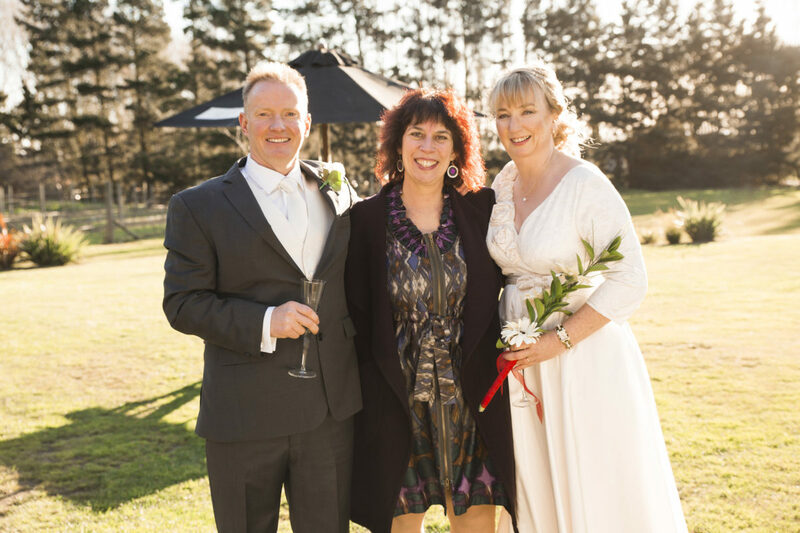 It was really important that we were both comfortable with our celebrant and after our first meeting with Beth we knew she was the right fit for us. 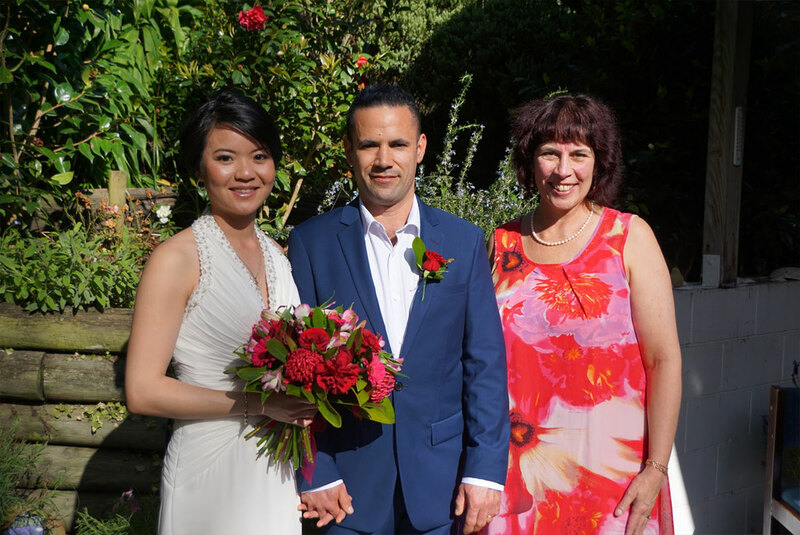 Beth made us both feel so at ease and made the whole process so easy. 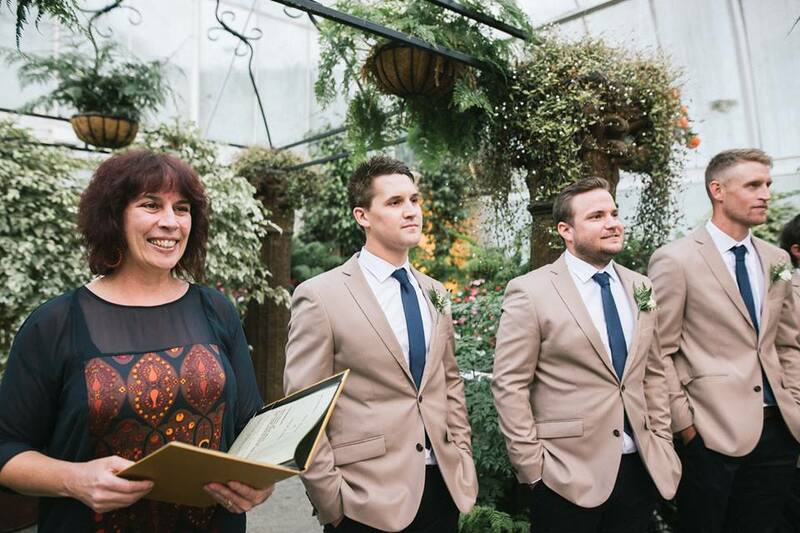 Thank you Beth for helping us make sure our ceremony was truly special to us. Thanks so much for making our day so special, light hearted and easy going! You were a great help and all of your recommendations were fantastic. 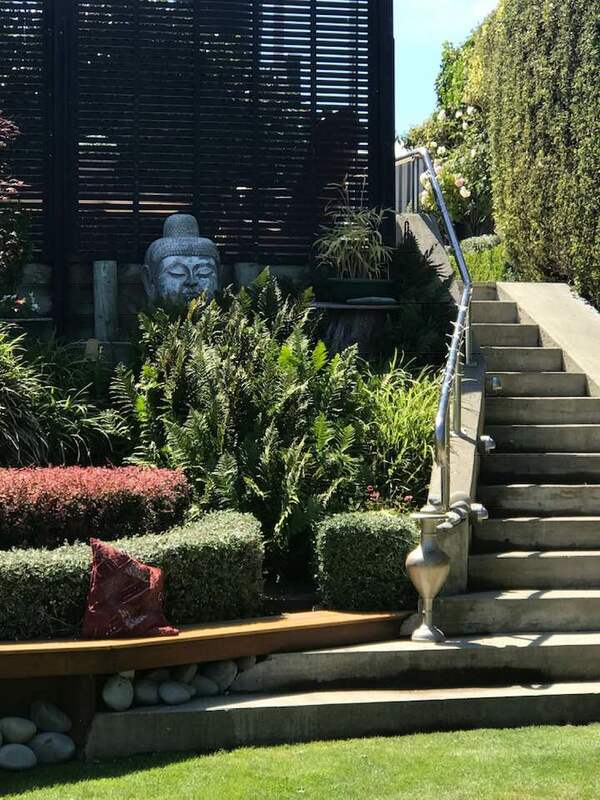 You made the entire process so easy and you put us at ease with your friendly and kind nature. 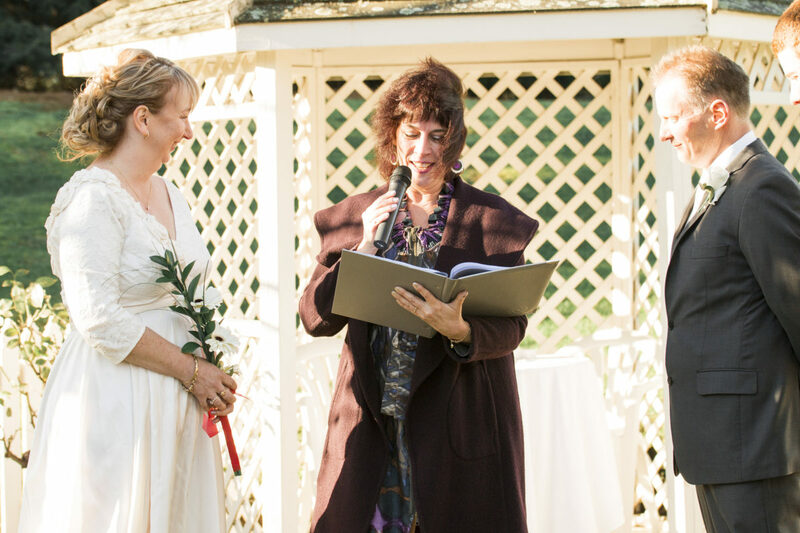 Thank you Beth for being our wonderful Celebrant! You were so helpful towards the preparations for our wedding. 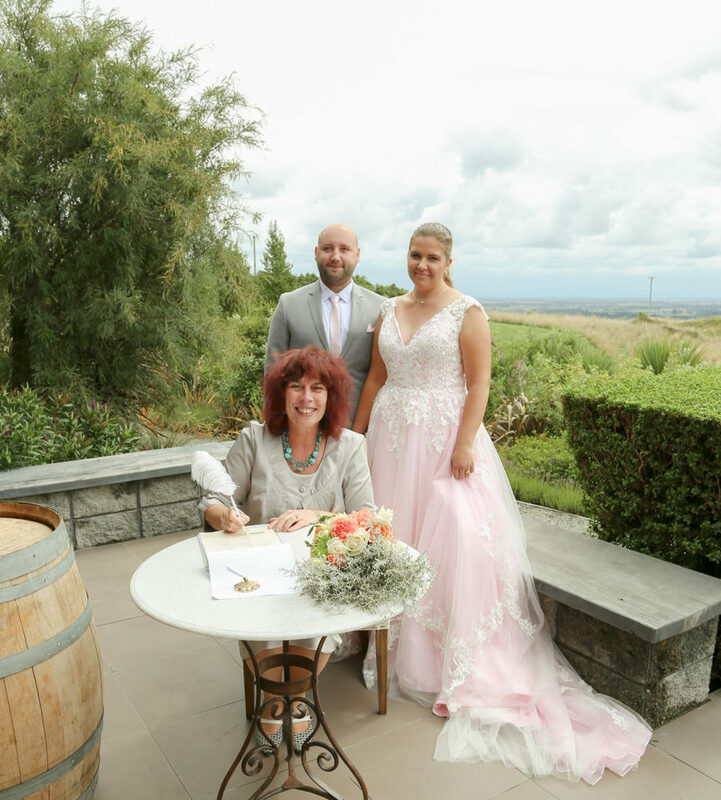 We loved how much effort and enthusiasm you provided for our big day , it was great having a happy, organised, and super friendly Celebrant to marry us! 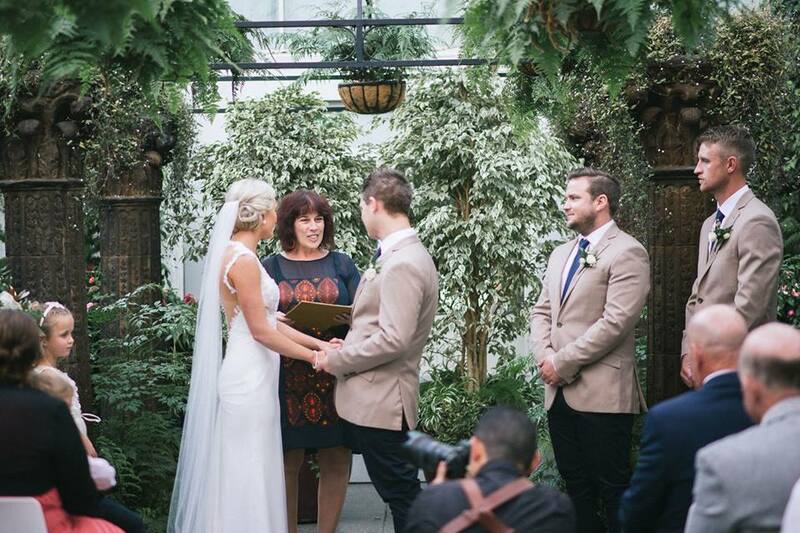 We cannot thank you enough for being our Celebrant and officiating us as Mr and Mrs. 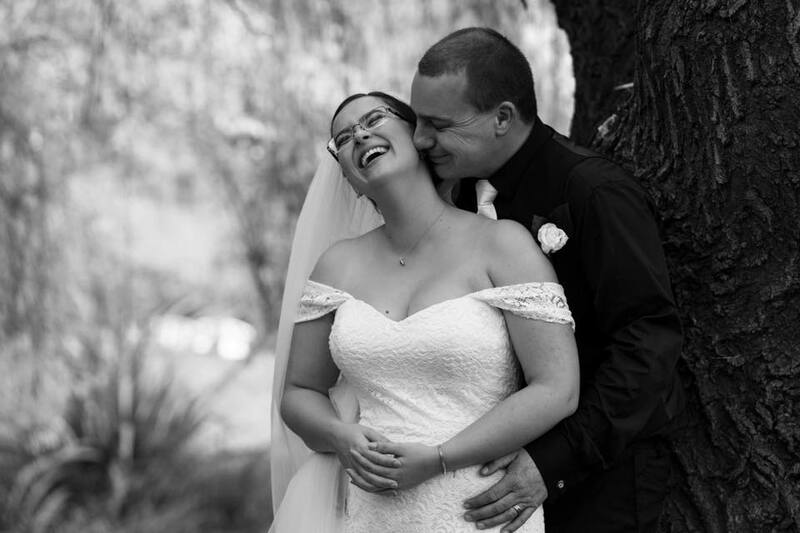 Thank you so much for making our special day absolutely perfect! 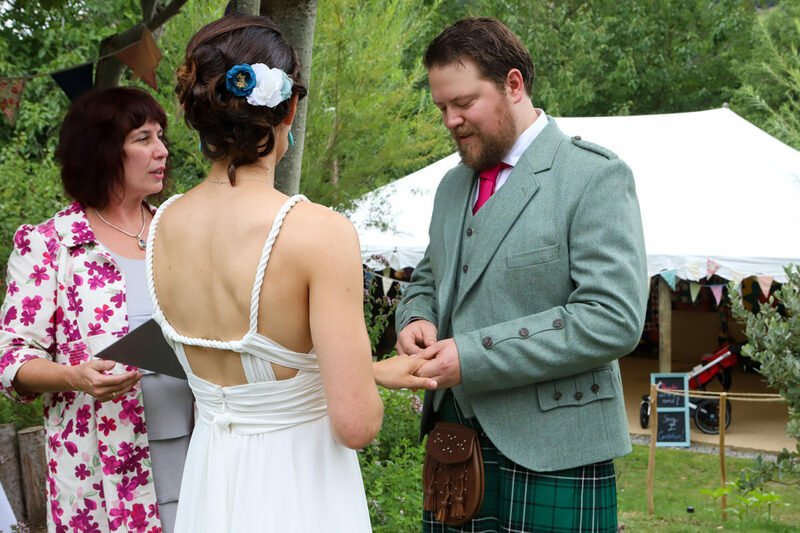 You made us feel calm, relaxed and very special on the day. 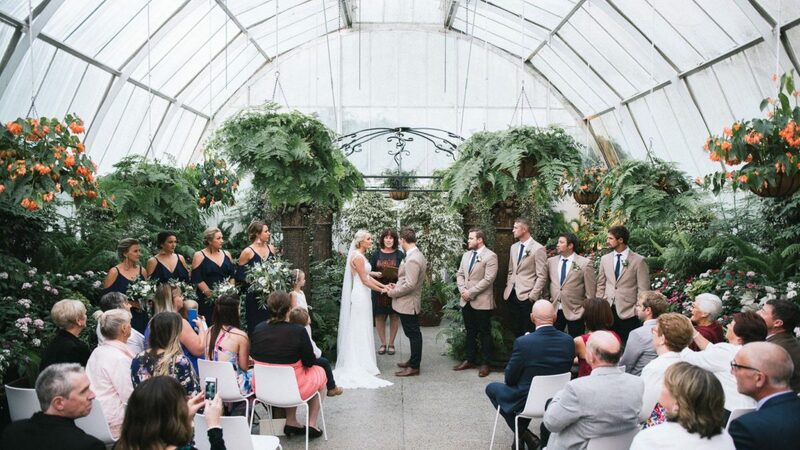 Thank you for helping us organise the ceremony layout as we were so clueless. It was a privilege to have met and worked with you. You have such great eneregy and you’re so friendly to be around. Photography by Sarah Clements Photography. 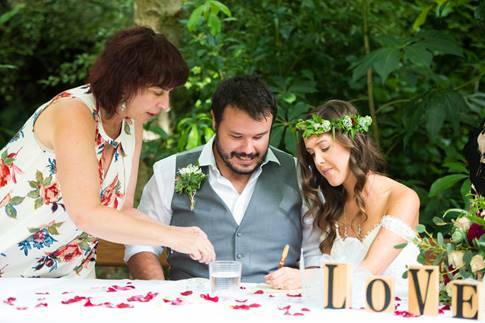 From our first meeting, to the conclusion of our wedding ceremony, everything Beth did for us was first rate. 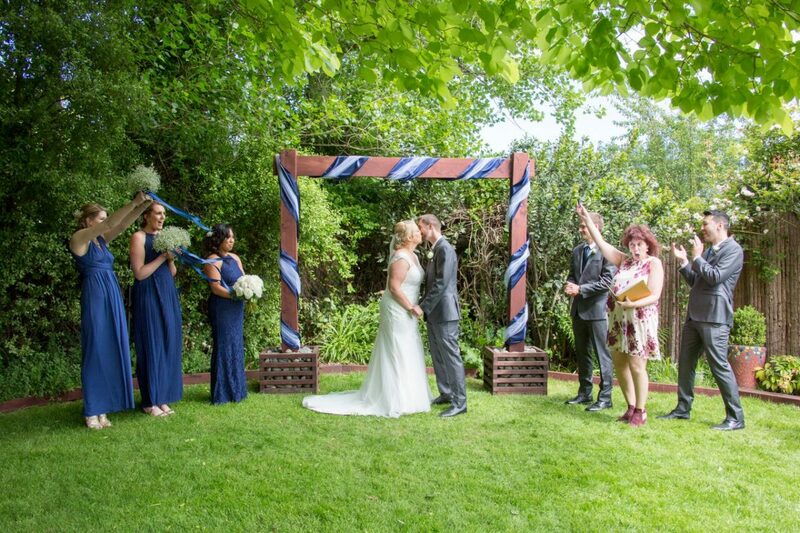 Beth made a wonderful contribution to our wedding day. And that was following all the support she gave us prior to the wedding. 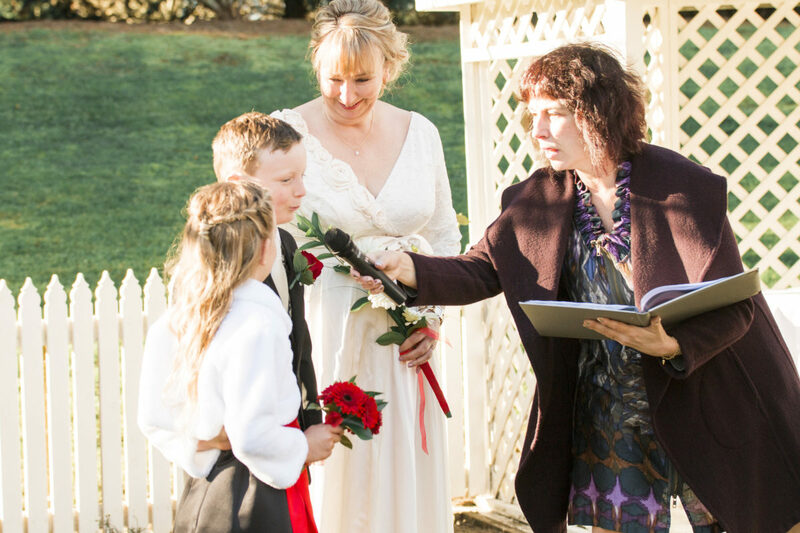 We would highly recommend Beth, if you are looking for a warm, caring and fun loving Celebrant to make your day. Beth brings it all, with great organisational skills as well. 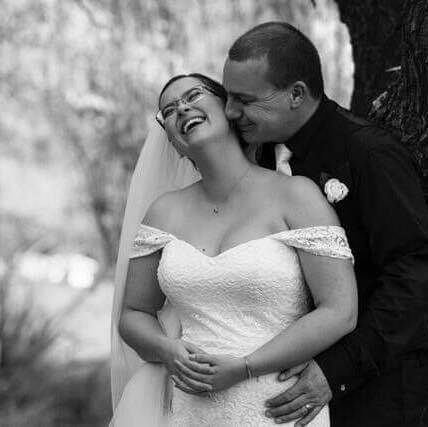 We could not have been happier. 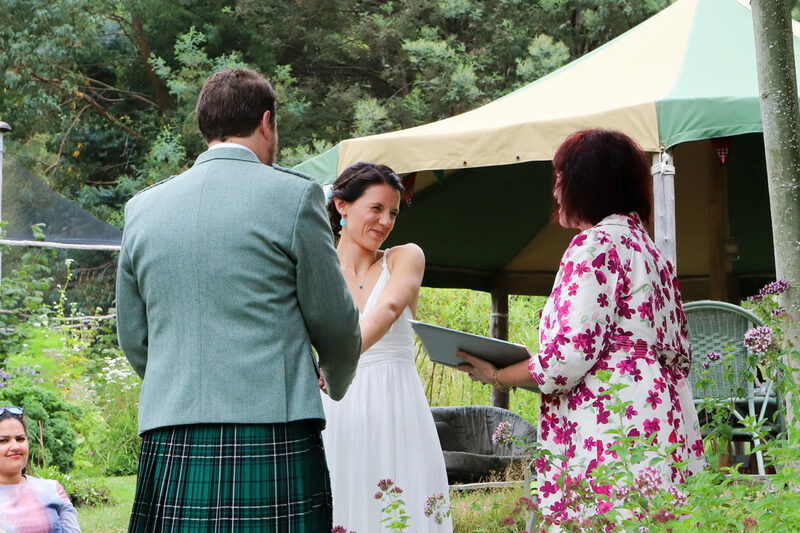 We are delighted that we chose you Beth to conduct our ceremony. 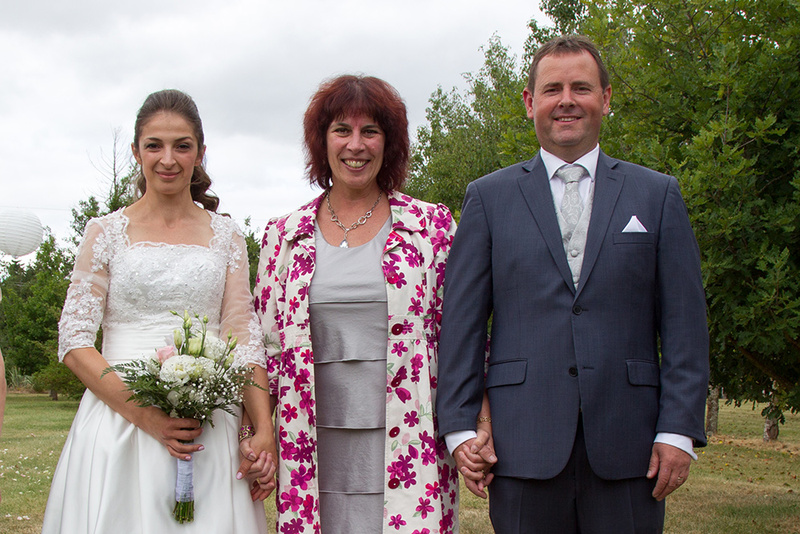 Highly recommend Beth, my daughter and son in law’s service was beautiful, unique, relaxed and perfect for them. Thank you so much Beth you were just wonderful. Vivien (Mother of the bride Zoe). 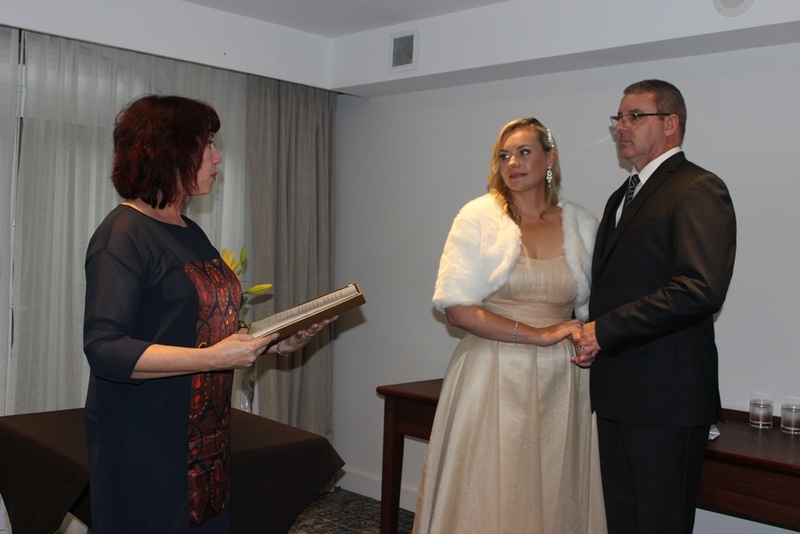 Beth Dunn was our celebrant for our wedding this January. I couldn’t recommend Beth highly enough. 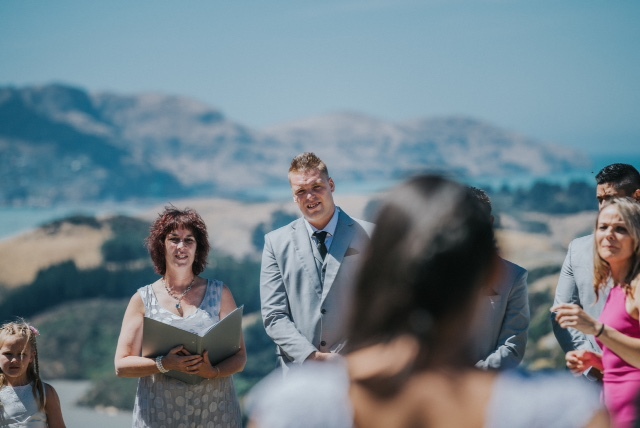 From welcoming us into her home to help us plan our ceremony, providing guidance on all things big and small, prompting us when we needed it, and making sure all the finer details of our ceremony were perfect and just how we wanted them to be. 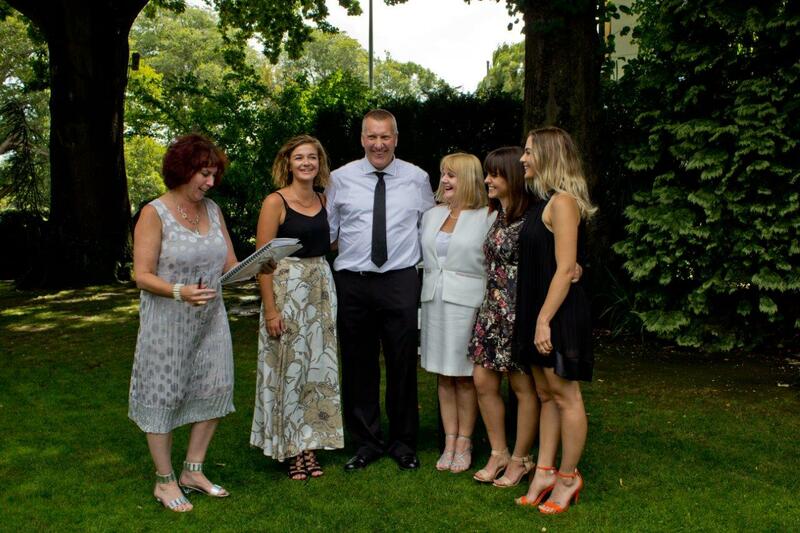 On the day Beth was so calming and positive, and our ceremony went beautifully. 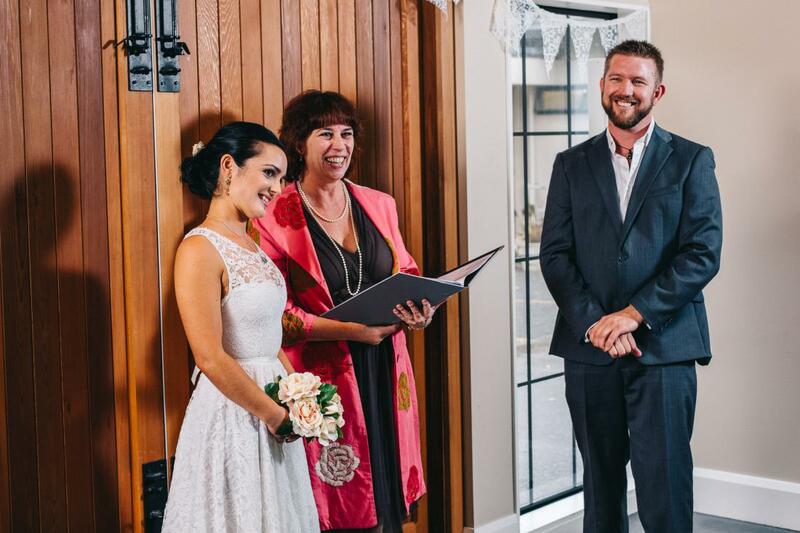 We were both so pleased we chose her to share our special day. 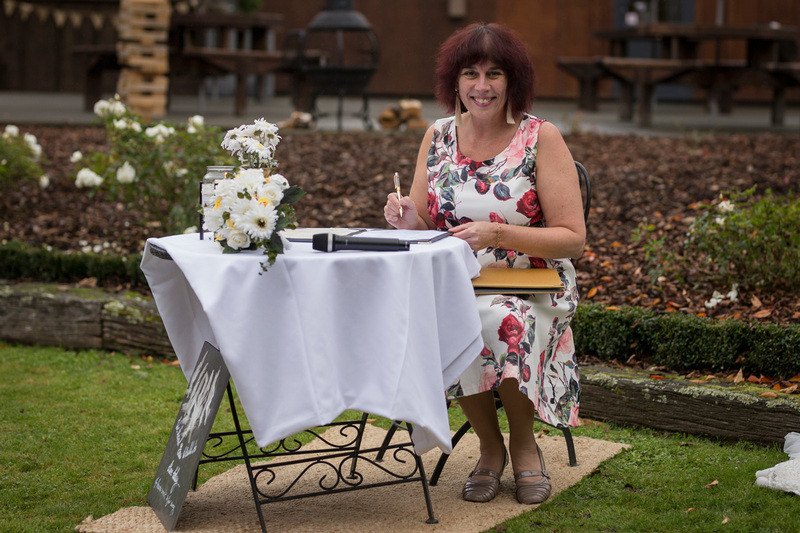 I chose Beth as you can tell from her website that she is the most passionate celebrant and she definitely lived up to this! She helped us every step of the way and gave some awesome tips and tricks. 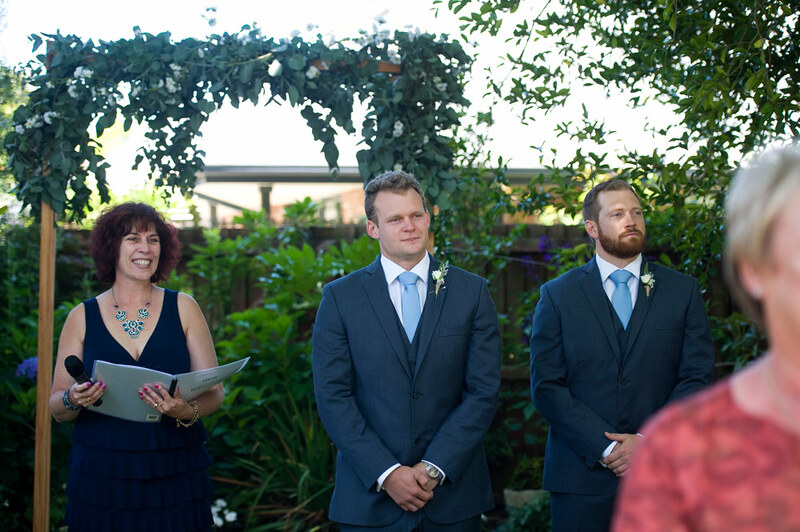 She made the ceremony so relaxed and helped us feel so comfortable which was all we wanted. 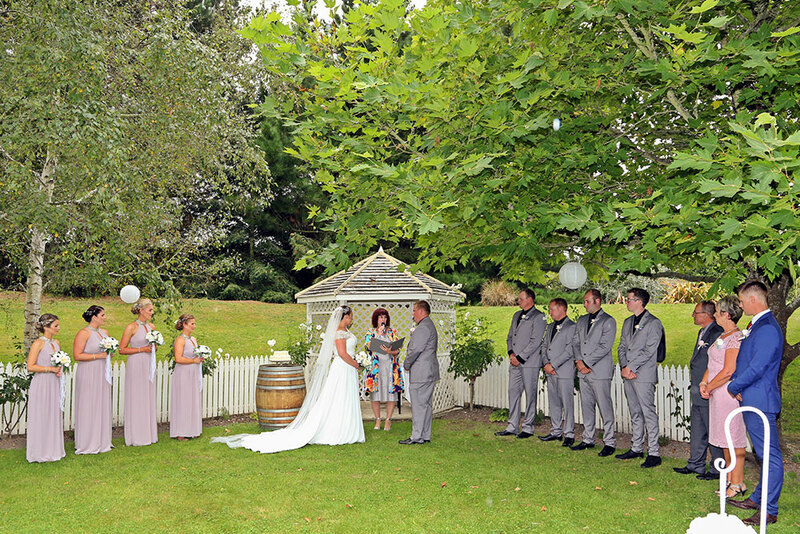 Some of our guests said they thought she was one of the best celebrants at weddings they had been to. I will definitely be recommending her 🙂 Thanks Beth!!! 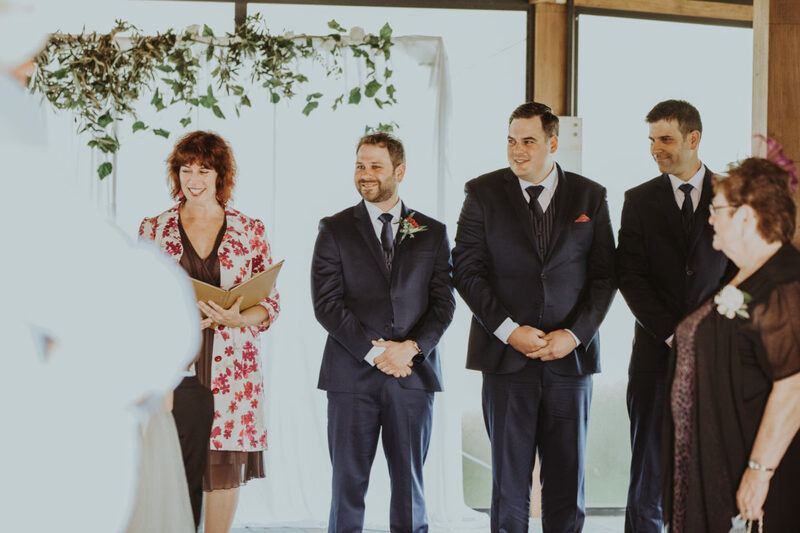 When it was time to find a Celebrant, we wanted someone warm and friendly, and who would focus on us for our special day. I found Beth’s website and instantly recognised her – she knew my late mum, who often mentioned how lovely Beth is. 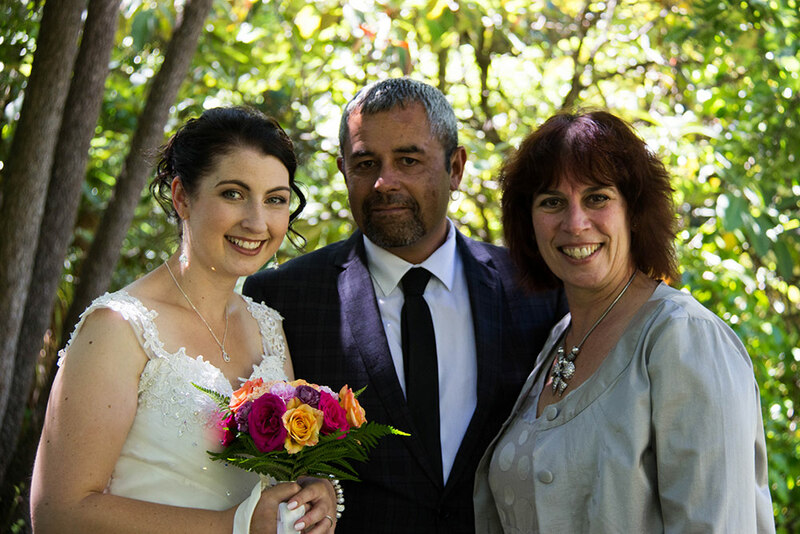 We arranged to meet with Beth and her friendliness and dedication made her the perfect choice. 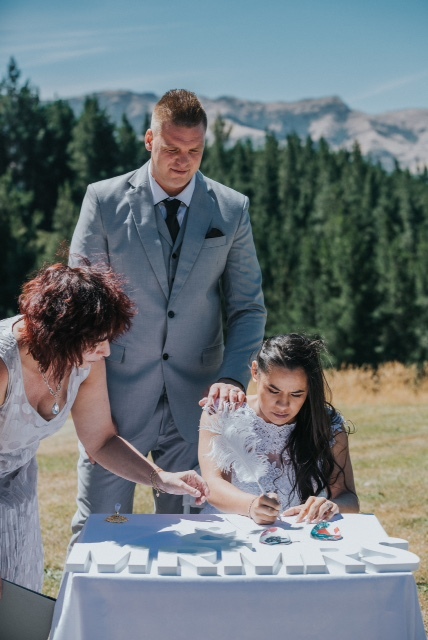 Working with her to create a ceremony that celebrated us as a couple was easy and she had plenty of recommendations and options for customising our day. We appreciate that she reserved the day for us, so we had one less thing to worry about! Thank you so much, Beth, for all you did preparing us for the wedding! 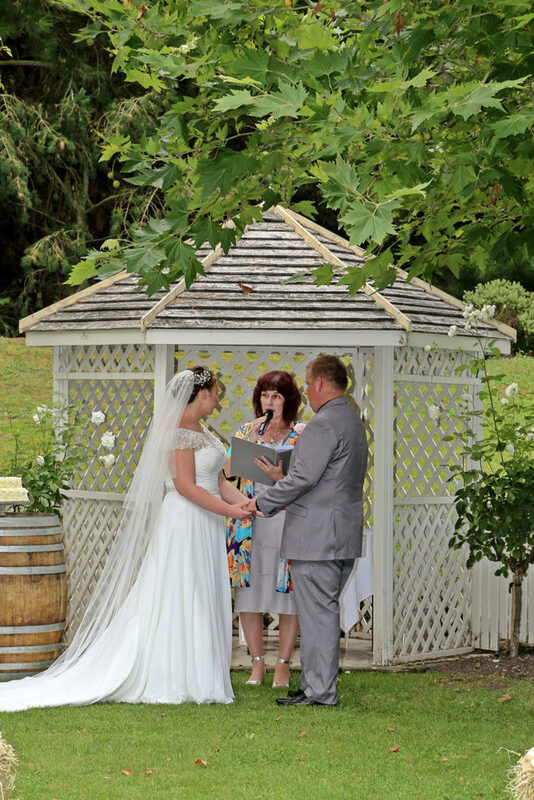 We are so grateful you were a part of our day! When things didn’t go to plan for us Beth saved the day! 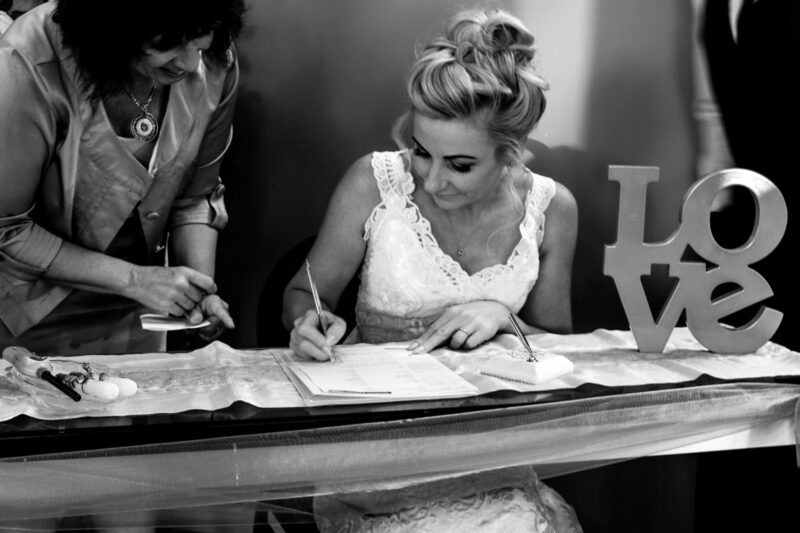 After a panicked call on a wedding forum Beth got in touch and really stood out to us. After we met with her we knew she was the perfect fit. 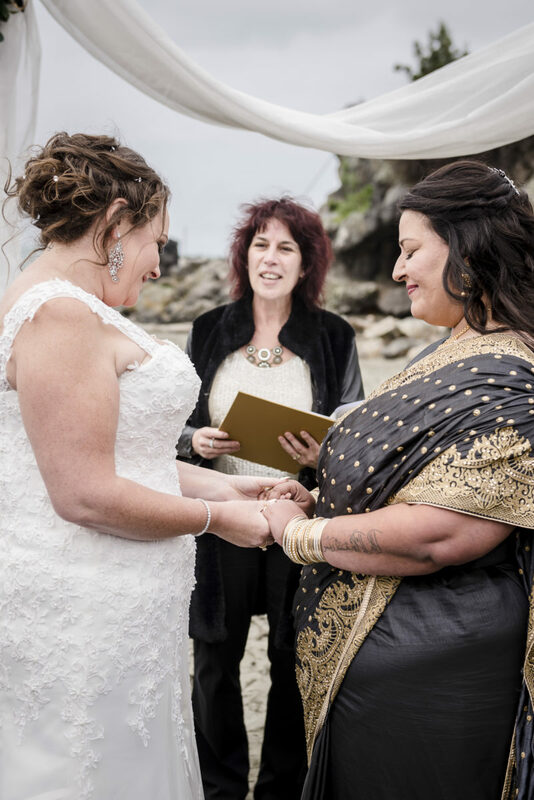 She listened to our story and transformed it all into the ceremony we had envisioned. And it wasn’t until our second meeting we found out she married us on her birthday! 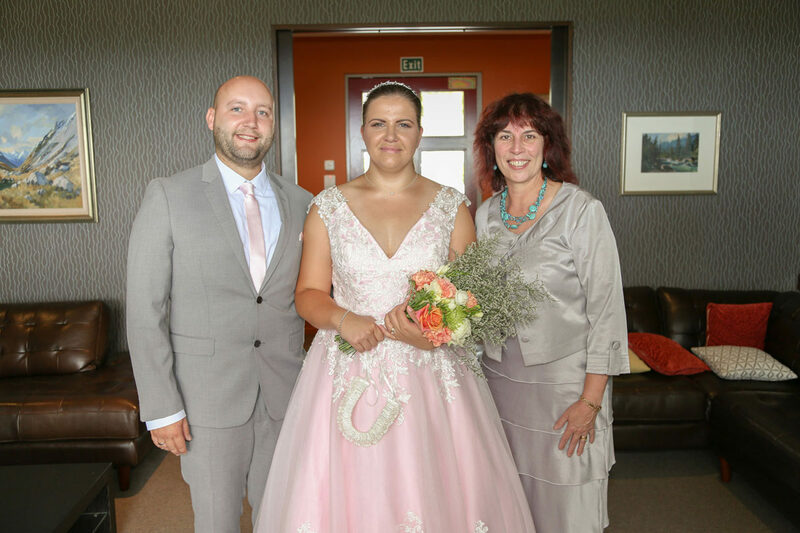 We couldn’t thank her enough for making our day even more special and perfect. 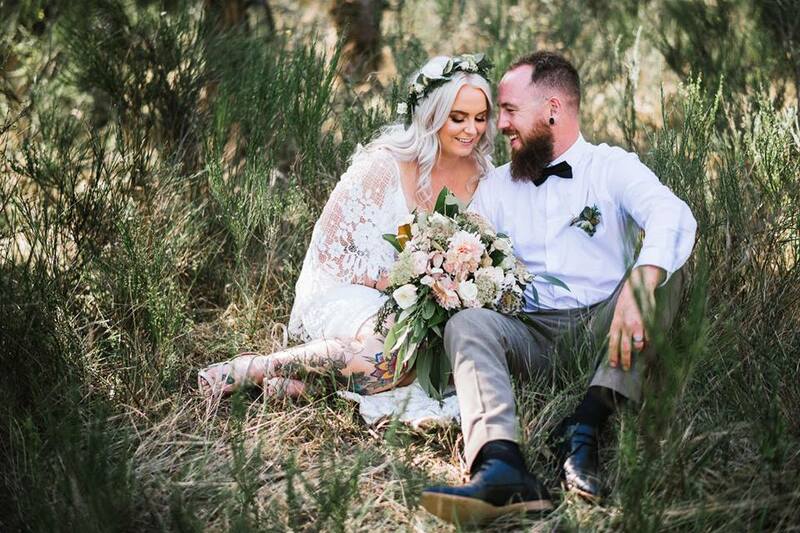 We didn’t know where to start when it came to planning our wedding! 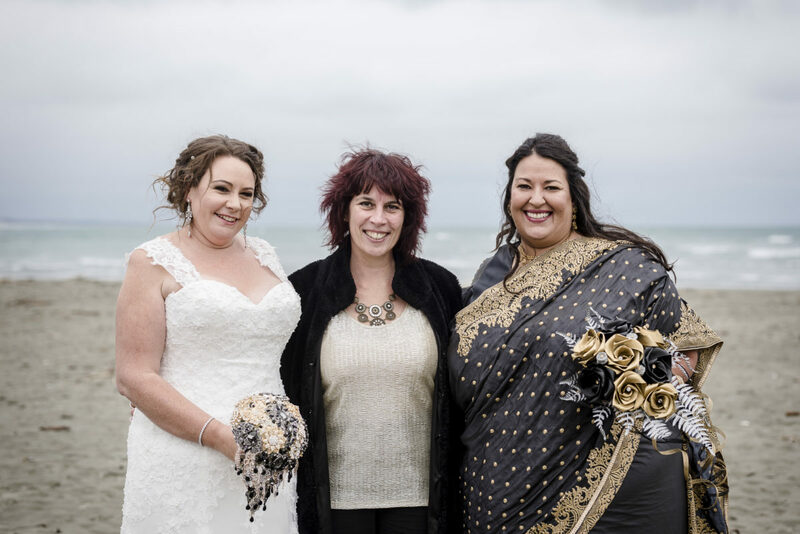 I scrolled the internet, reading bios and recommendations of celebrants and Beth really stood out to us. I was lucky enough to see her in action at another wedding, before securing her for ours. Her testimonials really lived up to their word so I knew we had to meet her. 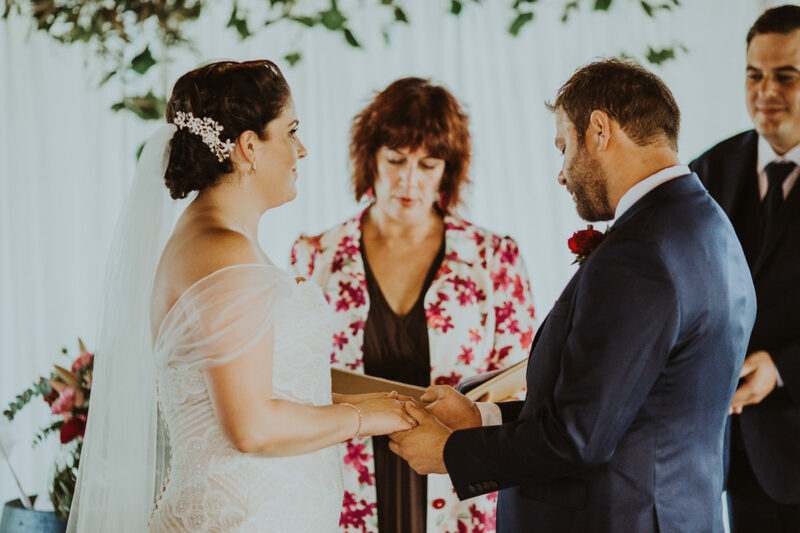 Beth is warm, genuine, friendly and professional, and was happy to explain the process and her role as celebrant, as well as the many other general questions we had – We felt extremely supported, and therefore at ease throughout the whole process. 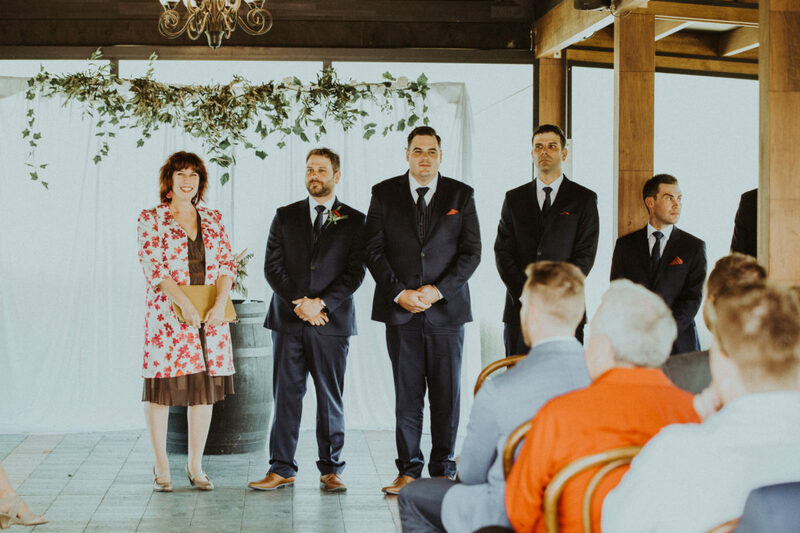 We cannot thank you enough Beth, for sharing our special day and for all of your help and advice (even when I threw you some “out of the box” ceremony ideas at you! haha). 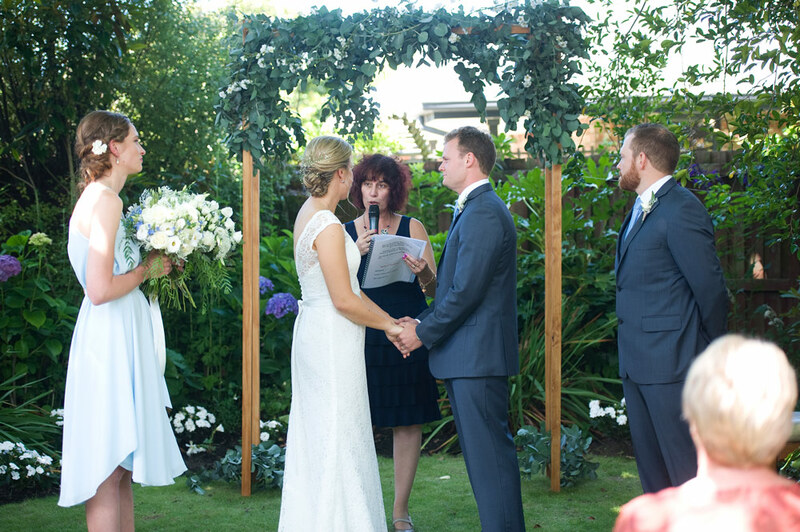 We wouldn’t hesitate to recommend you to friends and couples looking for their perfect celebrant. 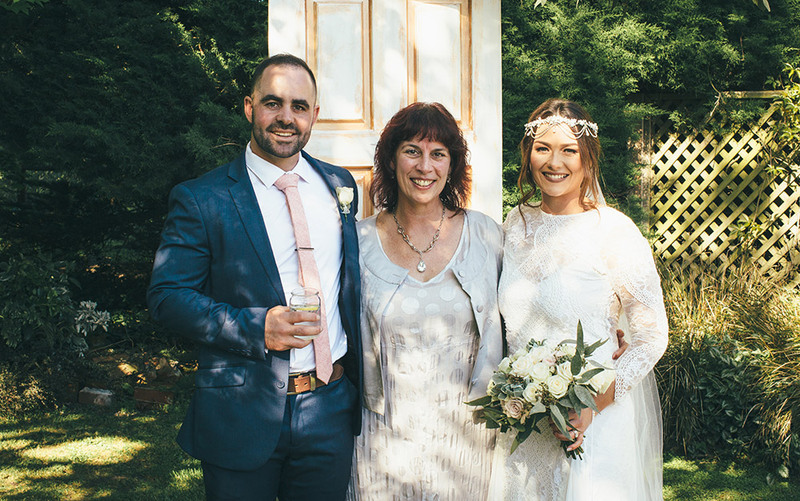 We asked Beth to be our celebrant because, we felt she understood what we wanted for our special day….we wanted it our way. 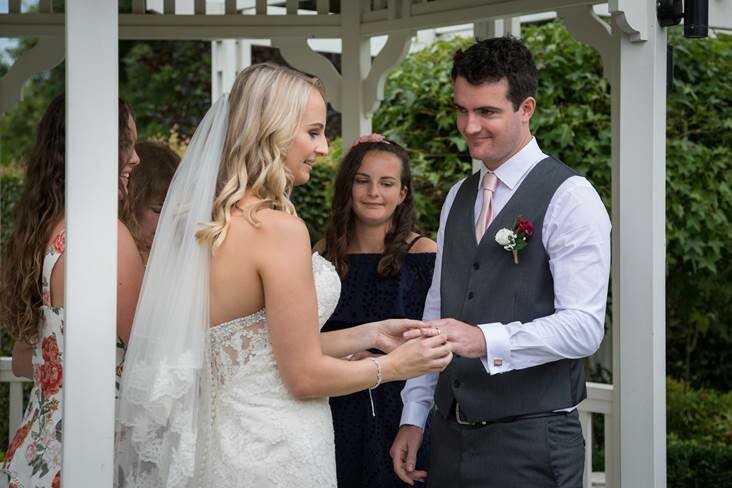 Beth accommodated our style and seamlessly made our ceremony so personal and relaxed, it took all the stress out of the occasion and everyone had a great day. Beth is simply very good at what she does, she listens, she is completely organised, she is experienced, and she understands. 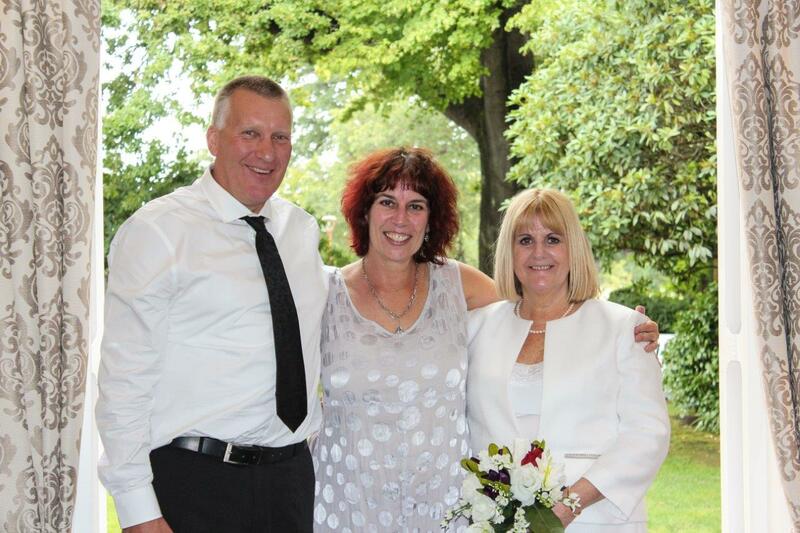 Thank you Beth for being the right celebrant for us…..you’re a special lady. 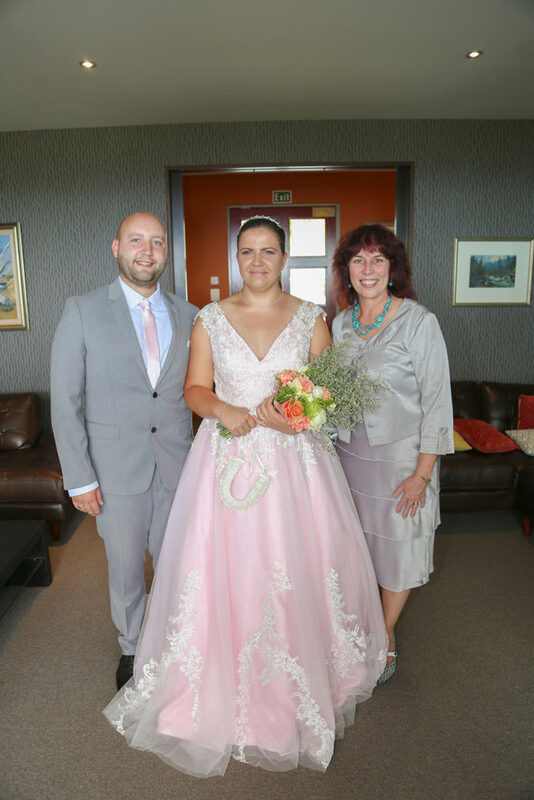 Nick & I want to thank you so much for being our celebrant. You made the whole process fun & easy. 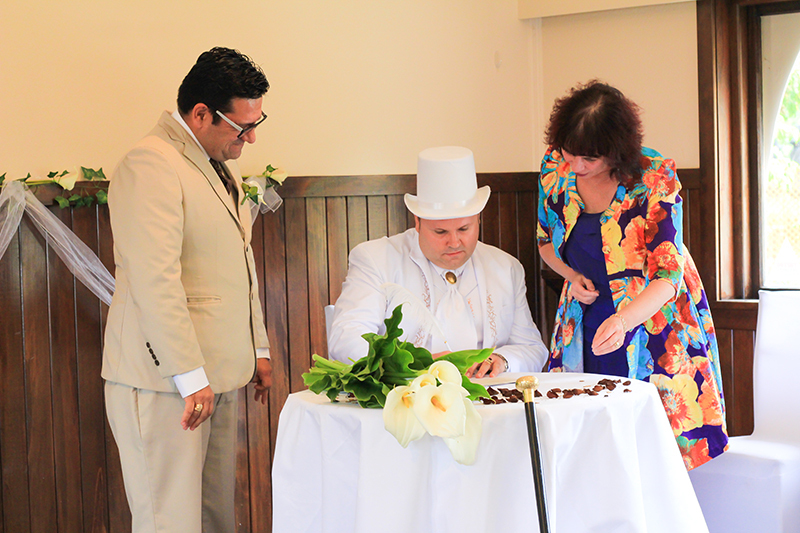 The ceremony went exactly as we’d hoped & we had lots of comments from family & friends saying how beautiful it was. 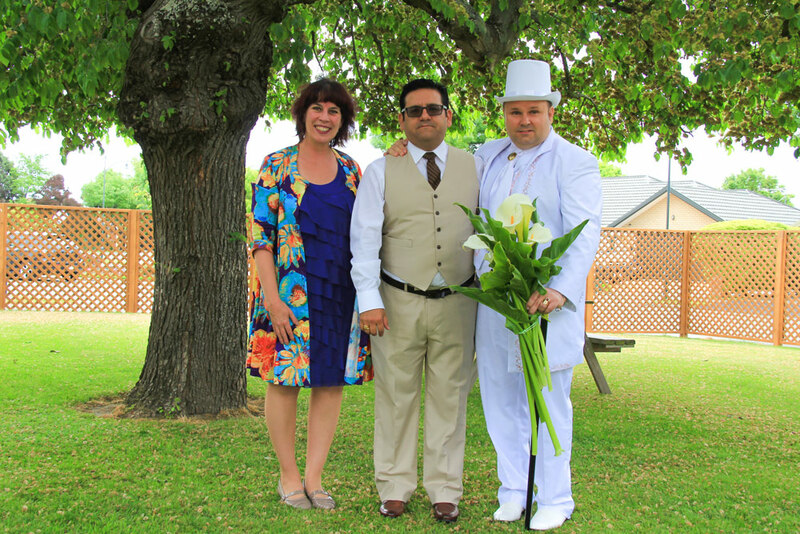 Thanks again for sharing our special day & for all of your help and advice along the way. And thank you for the lovely gift. We can’t wait to recommend you to all of our friends. 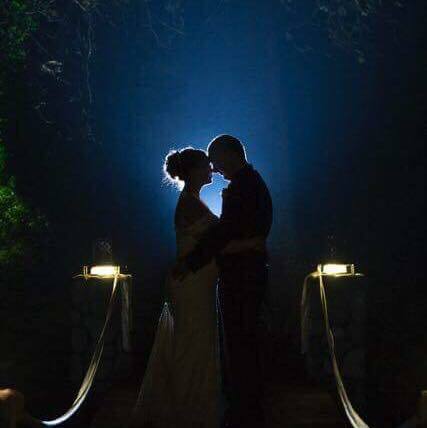 It was a privilege to work alongside Beth Dunn when organising our wedding. 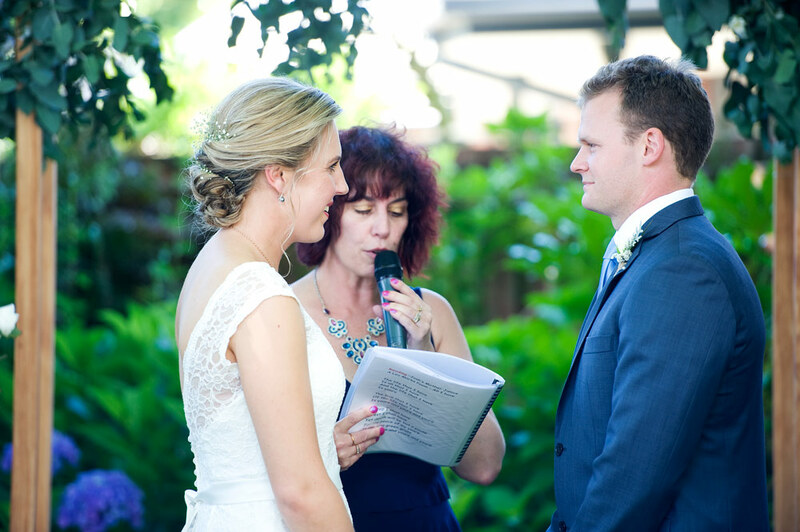 She was so easy to talk to and helped us create the wedding ceremony we wanted. Thank you so much Beth for the time you spent with us creating the perfect day. 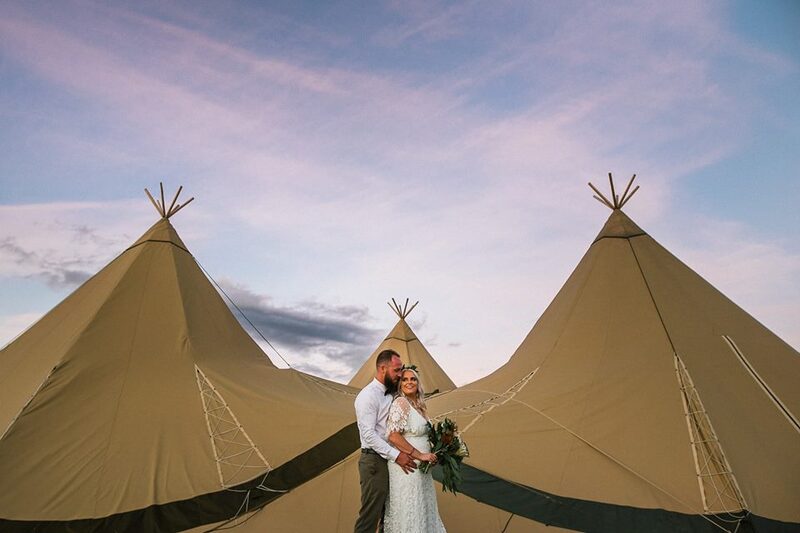 Our Wedding Day was magical, not only just because our family and friends helped, with the planning. 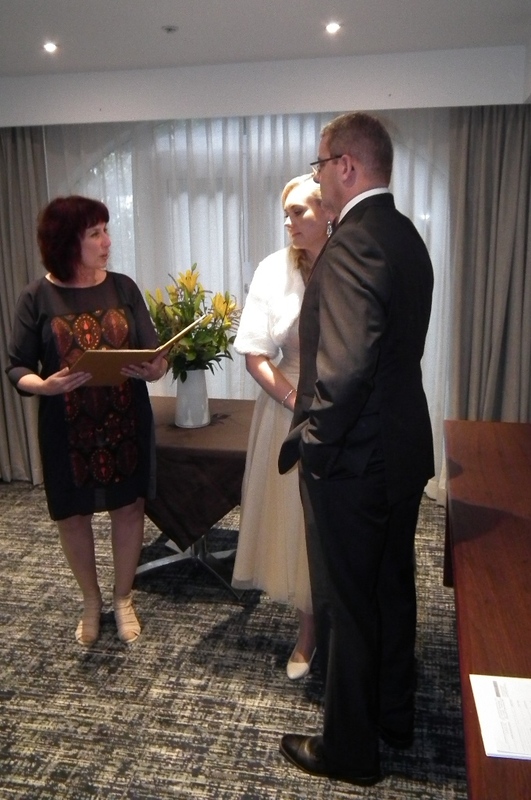 We had the pleasure of having a wonderful Marriage Celebrant Beth Dunn. 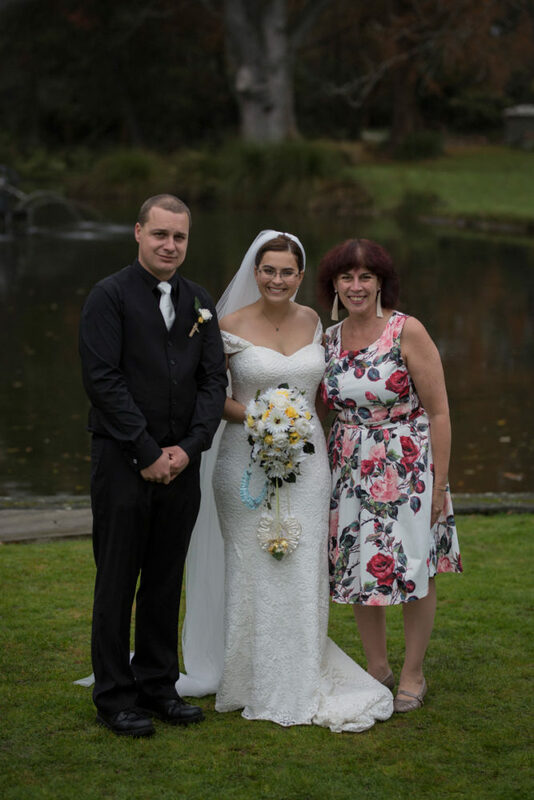 She listened to us, gave us heaps of tips on making our day as stress free as it could be, and made everyone feel welcome on the day. 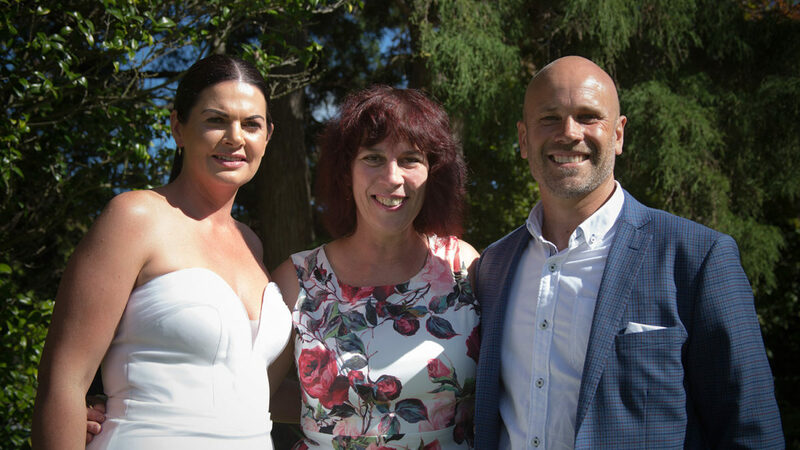 Jane and I couldn’t thank you enough, for making the trip out to North Loburn on a hot summers day, to confirm as celebrant our official marriage, what a wonderful day it was. 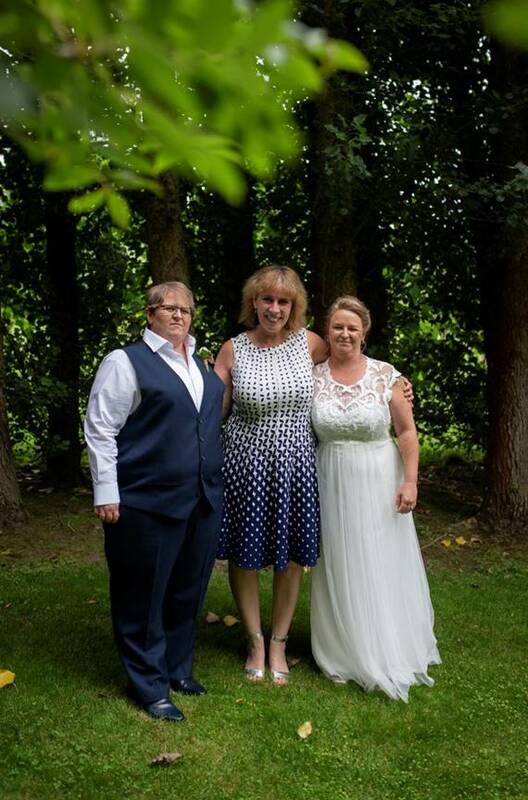 We chose Beth to as our celebrant after she married my sister and brother in law in April 2017. Beth is enthusiastic, professional and an absolute pleasure to work with. 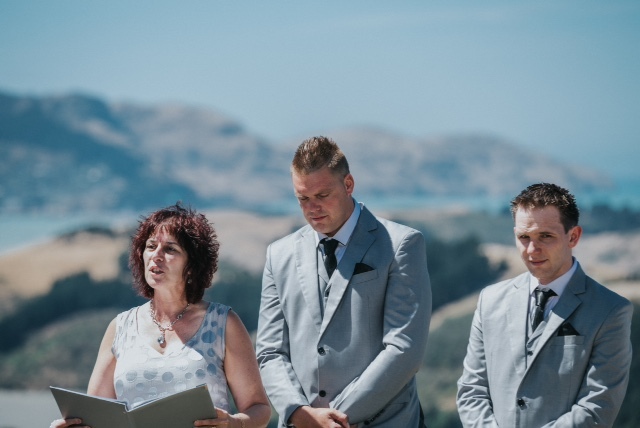 Tim and I had no idea where to start when it came to planning our ceremony. Beth gave us plenty of structure and advice while allowing us to add our own personal preferences and touches. 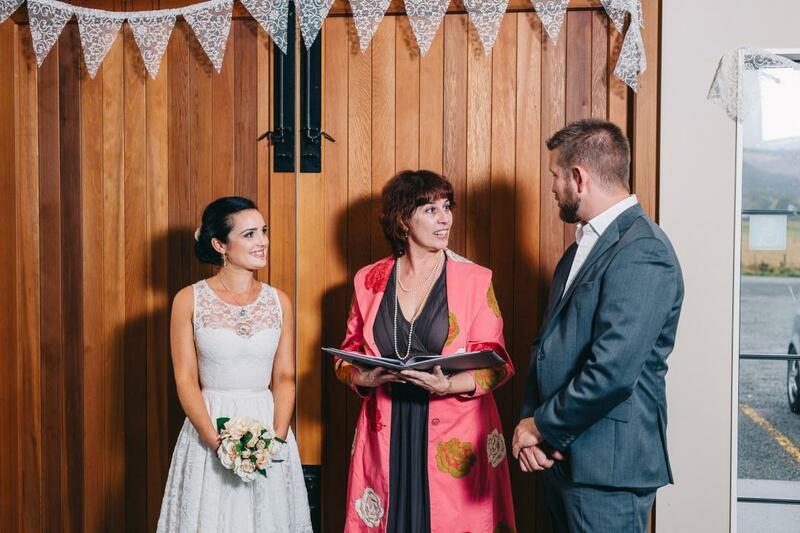 Getting Beth to officiate our marriage was the best decision we made. 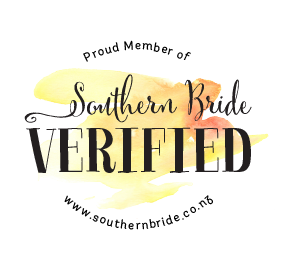 Beth made the entire process so easy and stress free. 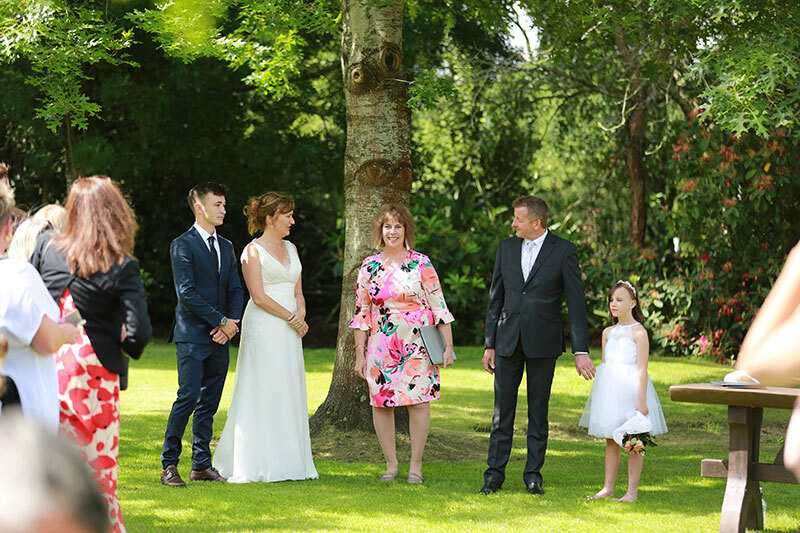 Beth worked with us to tailor our ceremony to suit us and our family’s wishes. Beth had great suggestions and helpful hints to make our day run smoothly. 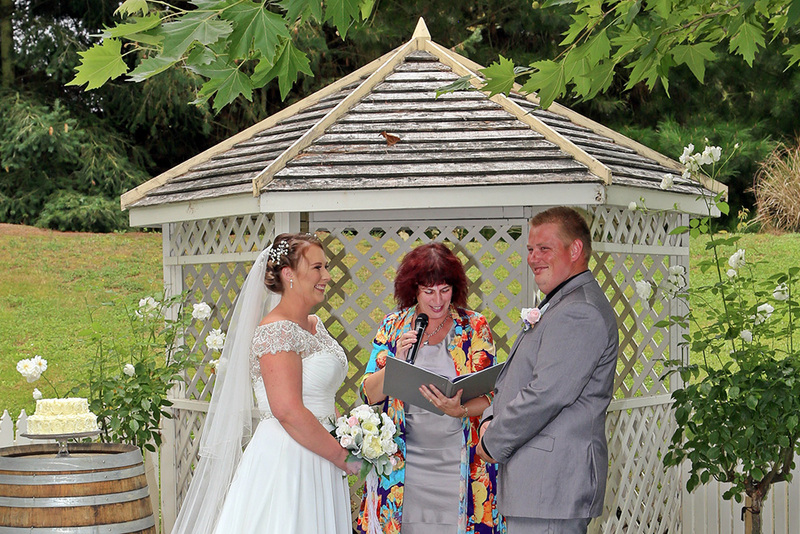 We could trust Beth to think of the things we might have missed because Beth was committed to making our day special. 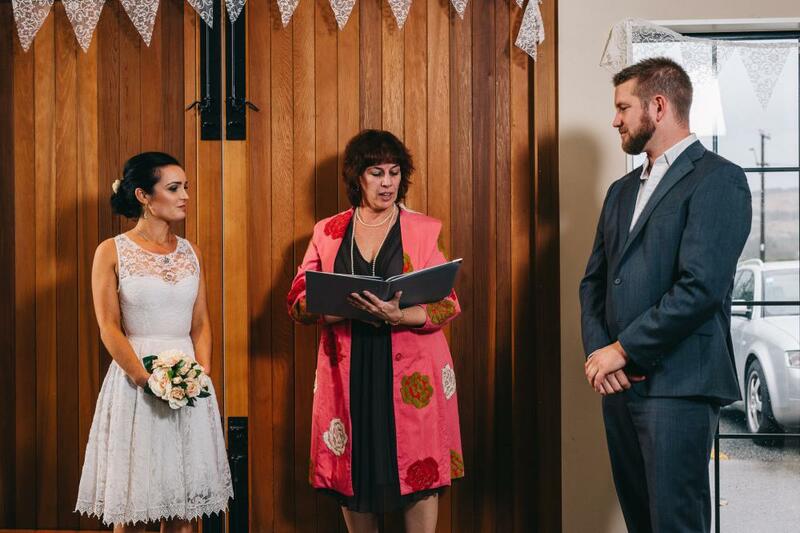 We wanted someone who had a fun, bubbly personality and Beth fitted this perfectly. We are proud to say Beth exceeded our expectations! 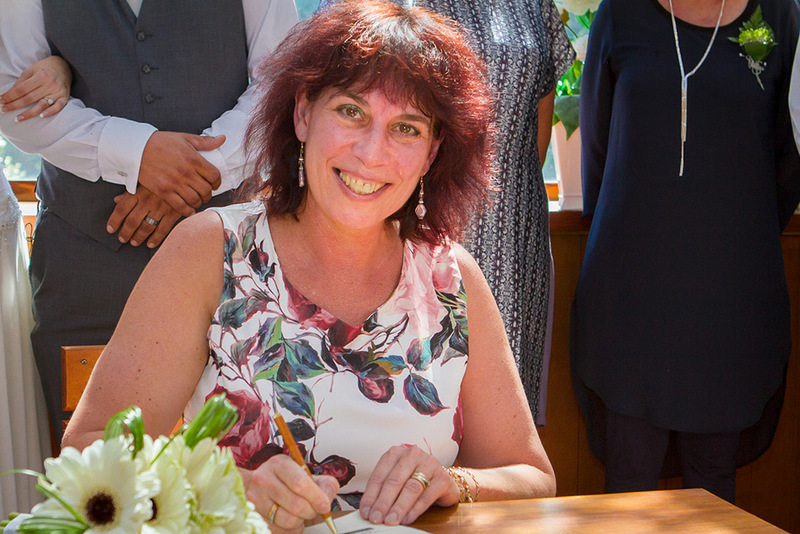 If you are looking for a celebrant who is full of life, open minded and very professional Beth is the only person you need to call. 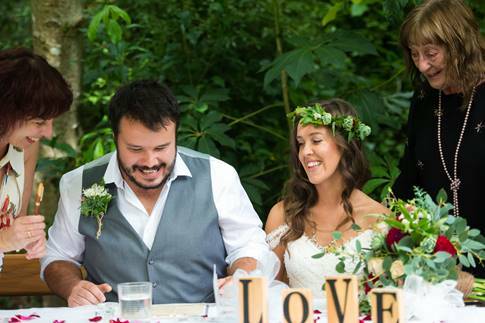 We cannot thank Beth enough for starting our marriage off spectacularly. 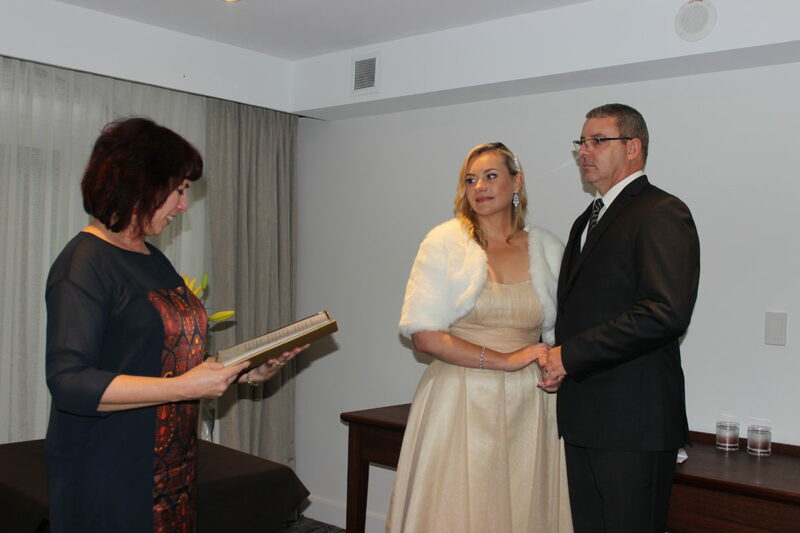 We wanted to thank you so much for the great service you provided as our Celebrant for our wedding in August. 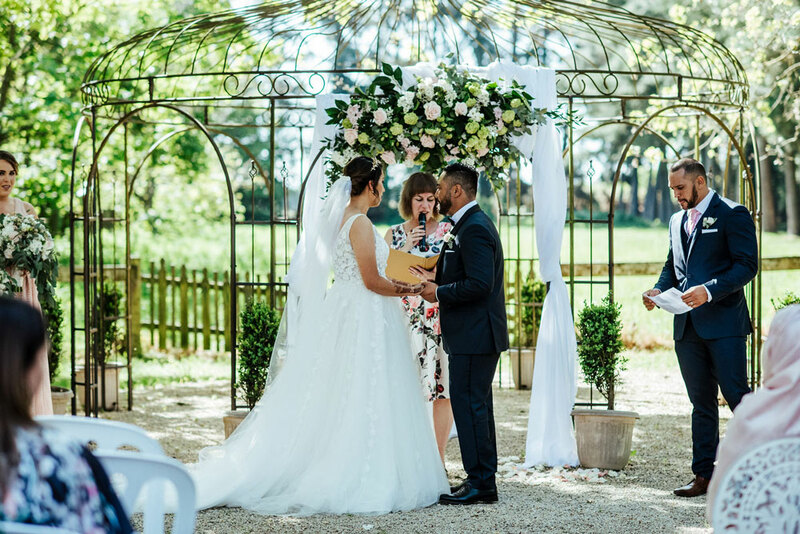 We were impressed with the way that your main outcome for the day was that we would have a great experience, and one that was performed in the way that we wanted, and of course result in us being married after many years together!! 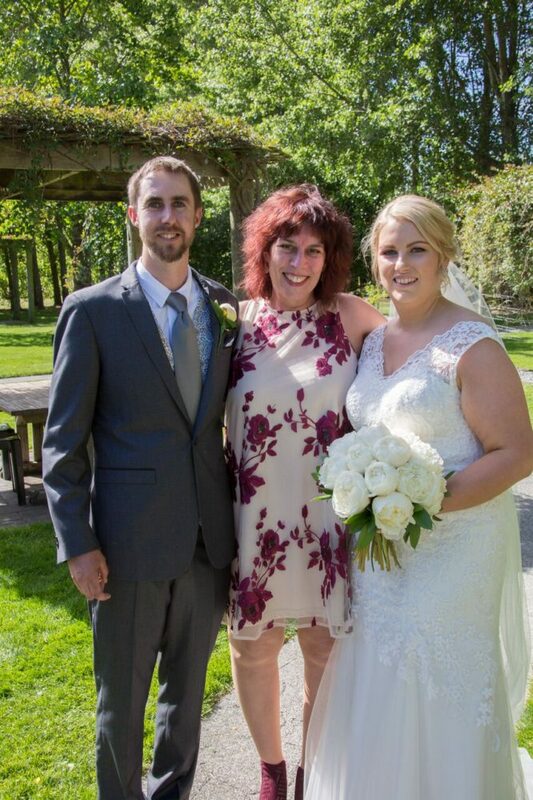 Thanks for being a great listener and doing things the way we wanted on the day, and a big thanks for including our 3 children in the process, which made it all the more special for us both. 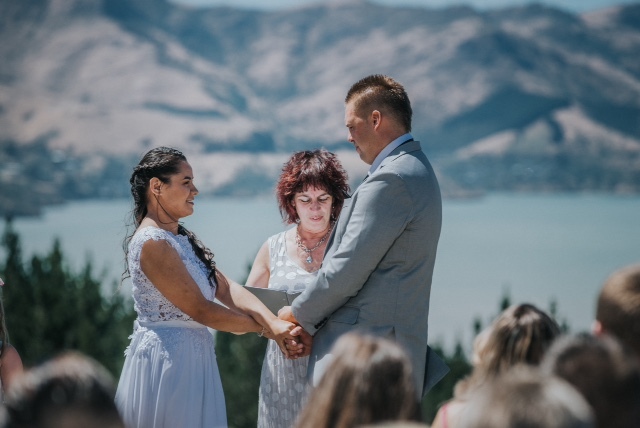 The whole process was stress free for us, and we would highly recommend your services for other couples getting married. So thanks again for everything, and all the best for the future. 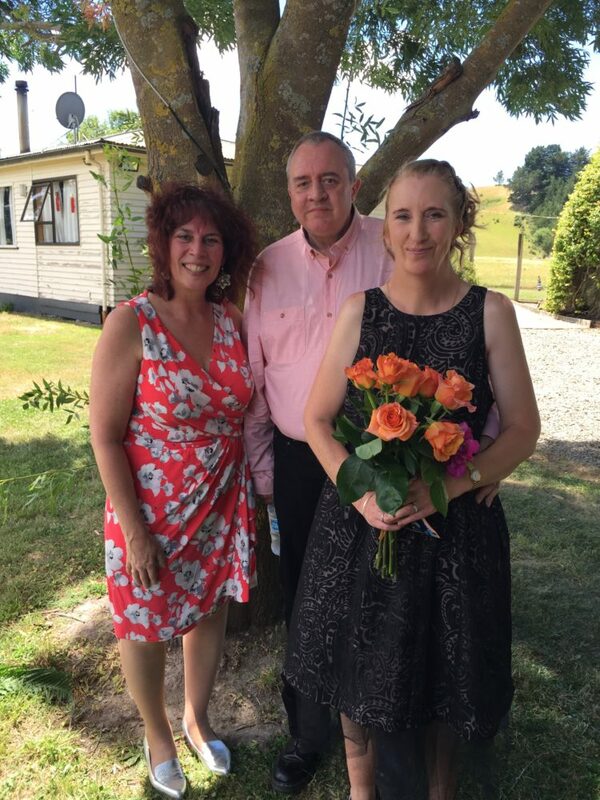 We arranged our wedding in Christchurch from Australia and were very fortunate to have Beth as our celebrant as she was incredibly helpful and gave us a lot of tips and ideas for the wedding given our location. 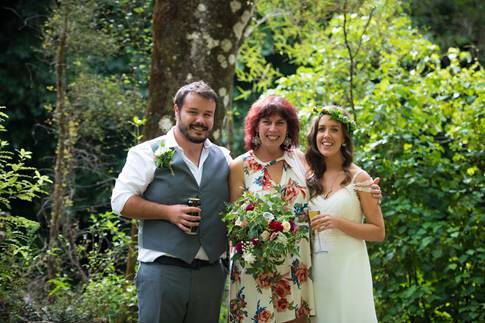 Beth brought a genuine energy to our wedding and helped make it a very special day for us. 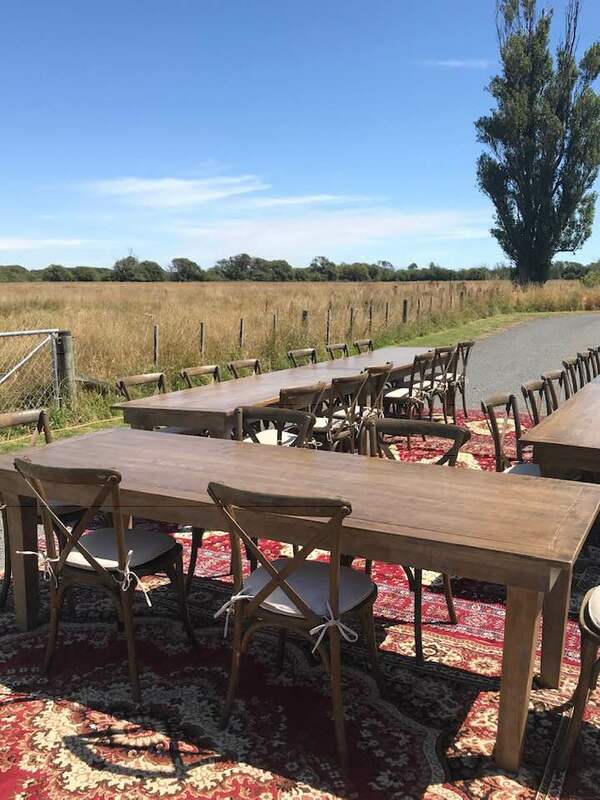 We appreciated Beth’s flexibility to work with us from a distance as we arranged things, it made the whole event very stress free. 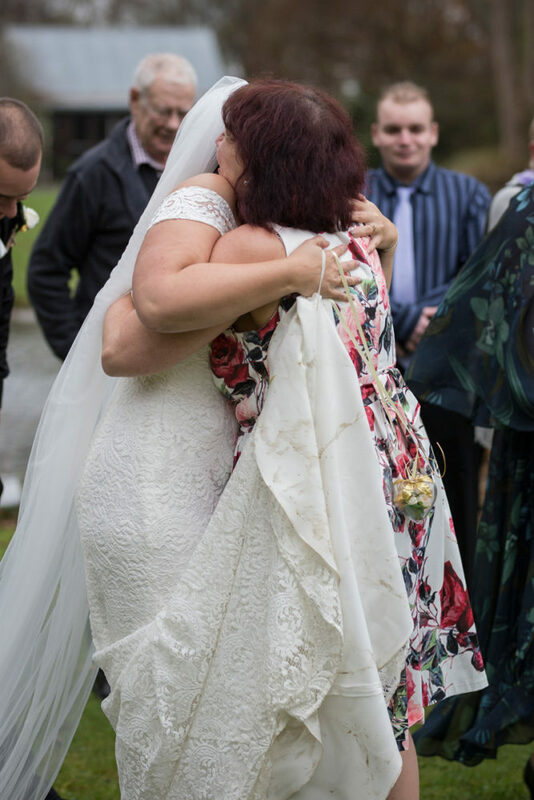 I met Beth at a wedding fair. It was a competition to win your wedding and my fiancée and I were one of 6 couples that were finalists. I was alone and nervous (I had to do a presentation) as my fiancée was overseas to take care of her mother. 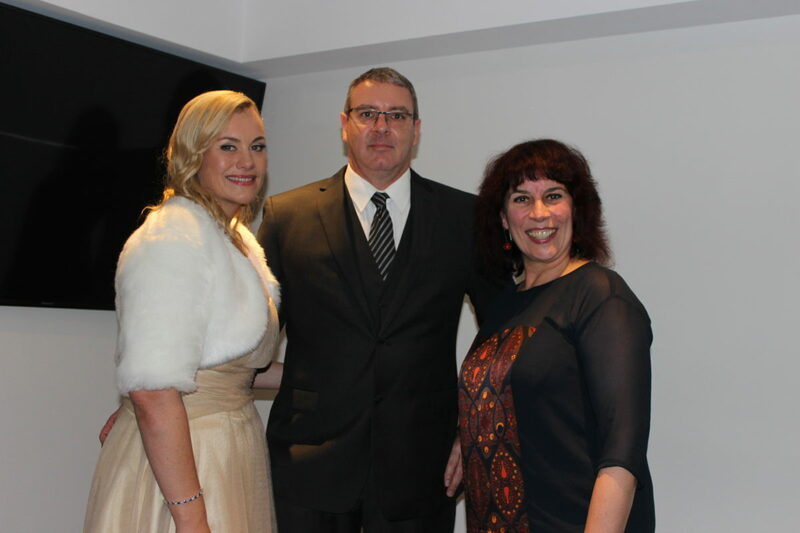 As we mingled with people in the industry prior to the presentation I came across Beth. I can’t even remember what we chatted about now but she was so lovely and she put me at ease. 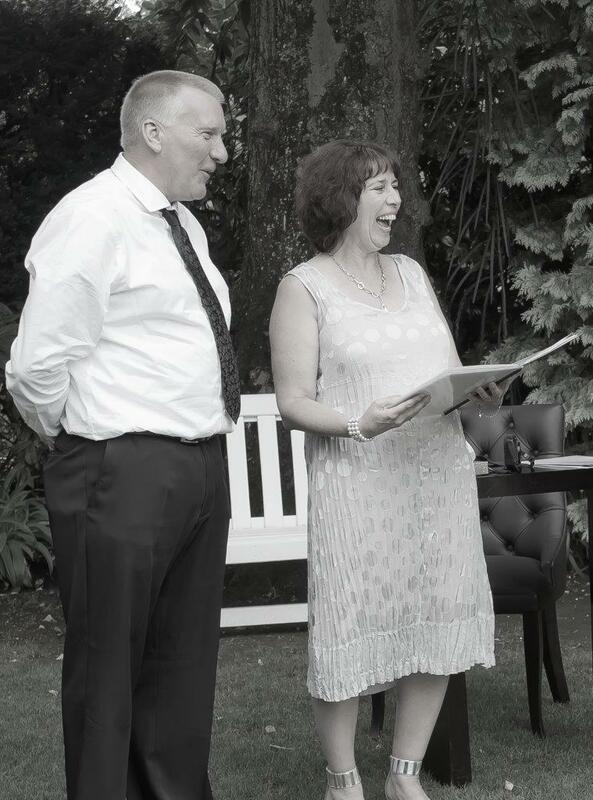 I remember having a laugh with her and thinking if we didn’t win this wedding that I would love to choose her as our celebrant. And we didn’t win, and we did choose Beth! I discussed with my fiancée once she was back home and we agreed to meet with Beth. 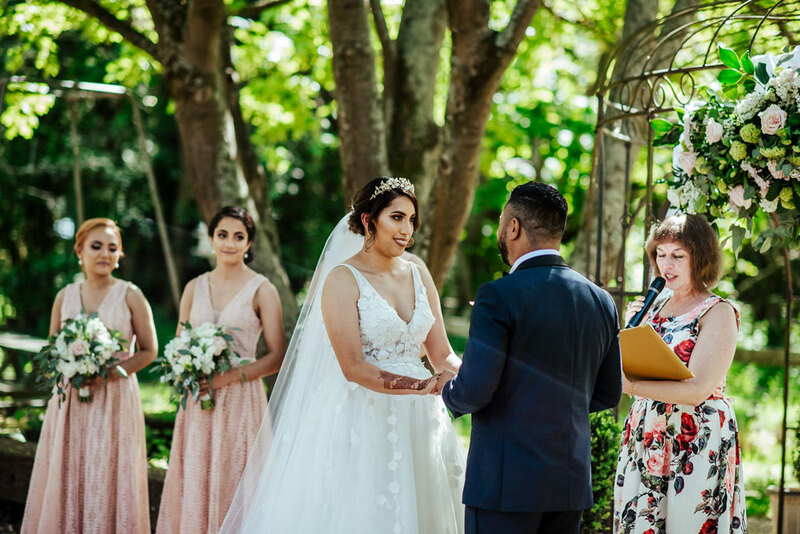 The minute we all met, Yasmin immediately felt at ease with her and given the laughs we all had as we discussed options for the ceremony, there was no hesitation to book her at once. Beth is such a genuine soul, and her enthusiasm and positivity is infectious. 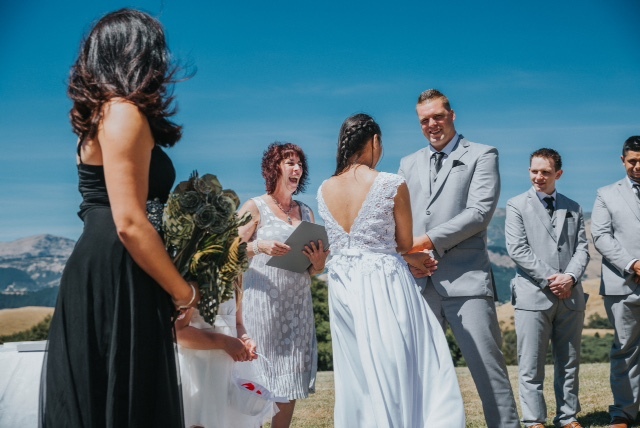 She seemed to understand what we had in mind before we even knew, and thought outside of the box to come up with a ceremony that suited our personalities. 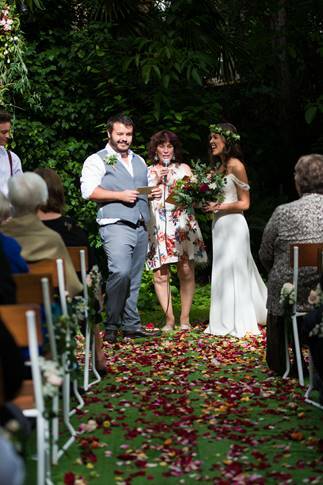 Nothing was ever too much trouble, and Beth offered guidance and ideas, as well as accessories we could borrow to complement our arrangements. 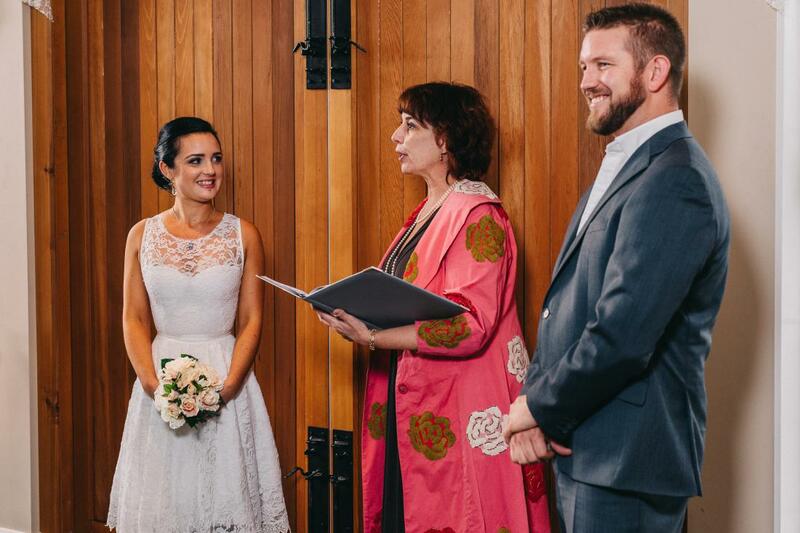 On the day she calmed our nerves and ensured the ceremony ran smoothly. 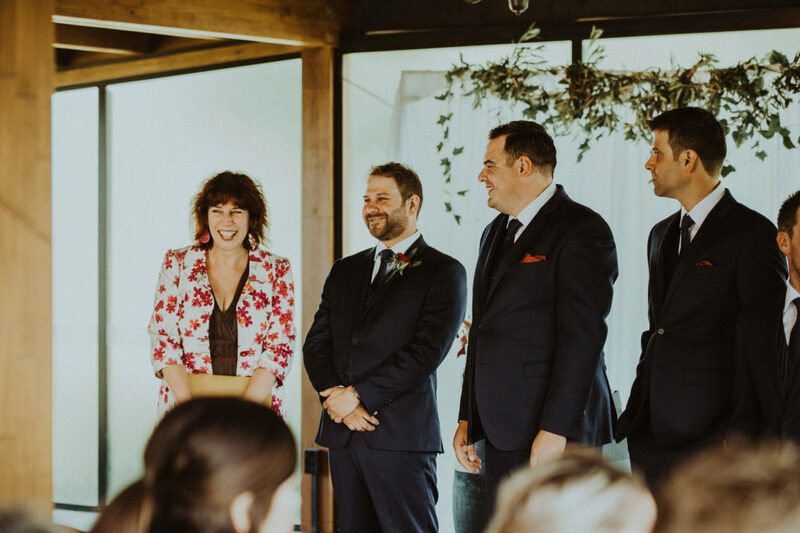 Her genuine excitement about our wedding made us feel as if we’d known her forever and her thoughtfulness was touching. 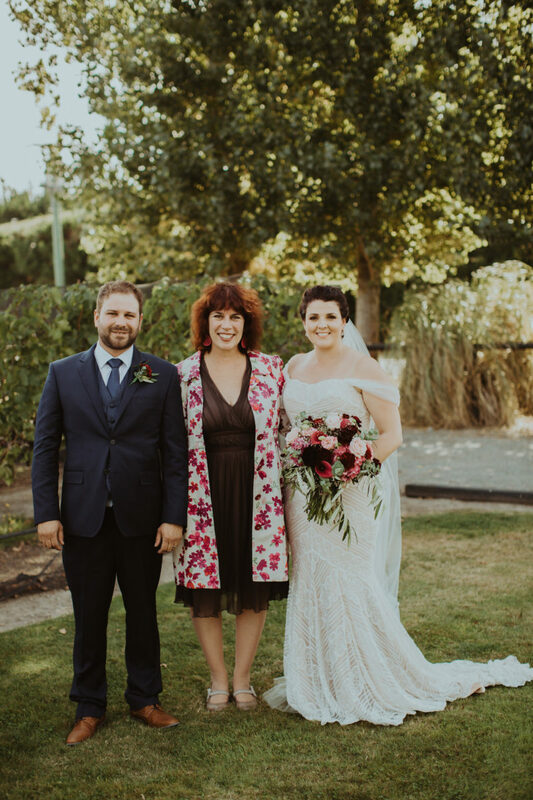 Yasmin and I would thoroughly recommend Beth to anyone looking for a celebrant who is prepared to go the extra mile and gives that extra personal touch. 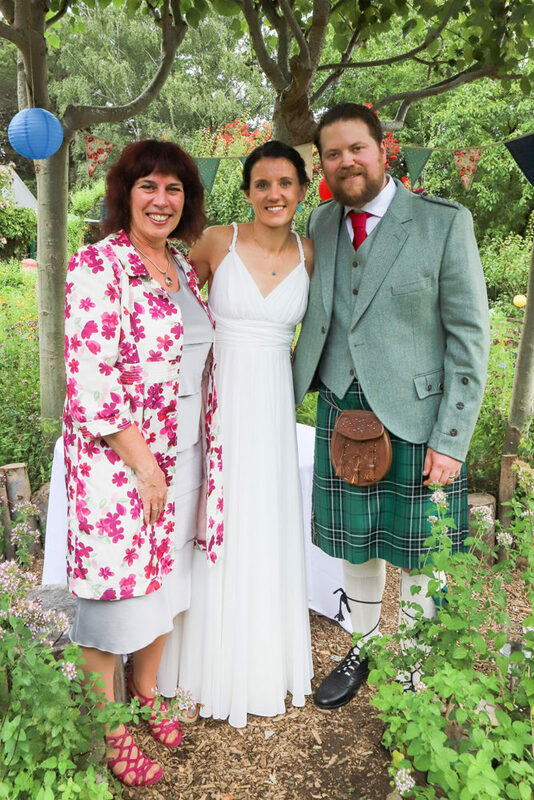 An amazing celebrant and lovely person – we couldn’t have been happier!” – Thank you so much for everything ! 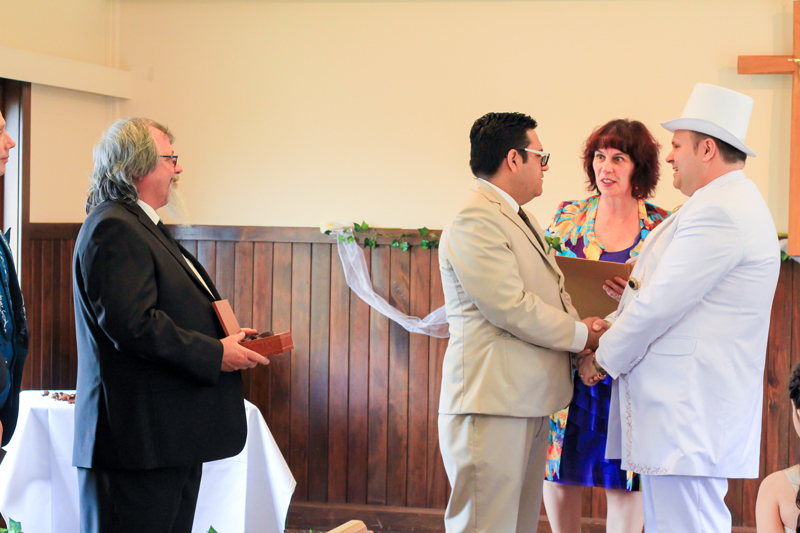 Thank you so much for making our ceremony exactly what we asked for. 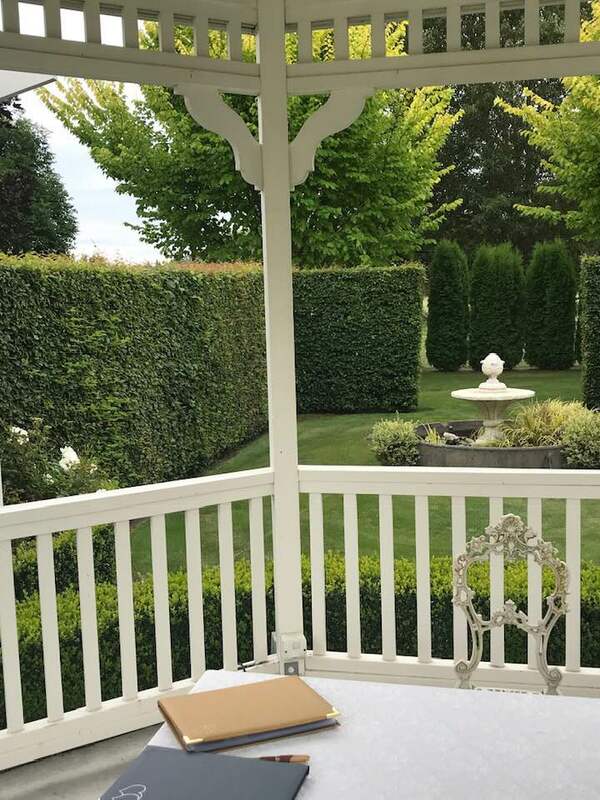 You were fabulous to deal with right from the start, you listened to what we wanted and ensured our day went well. Thank you again! 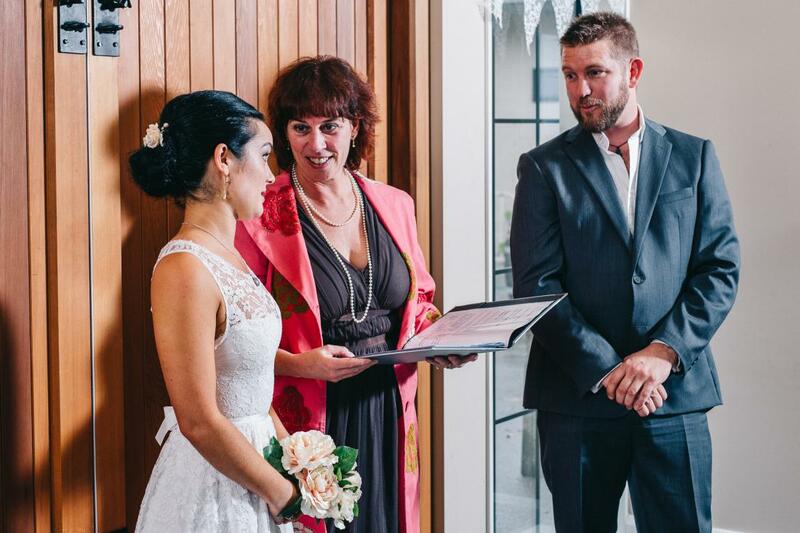 I would highly recommend Beth Dunn for any couple looking to choose an amazing celebrant. 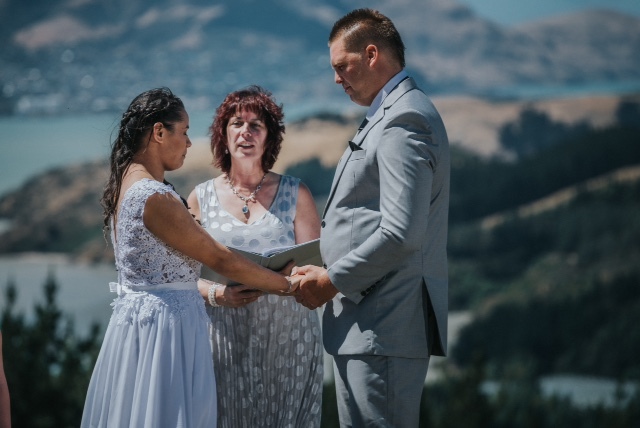 Beth really made the effort to get to know my Husband and I on a personal level, and really invested her time into creating a ceremony the reflected us as a couple rather than the norm. 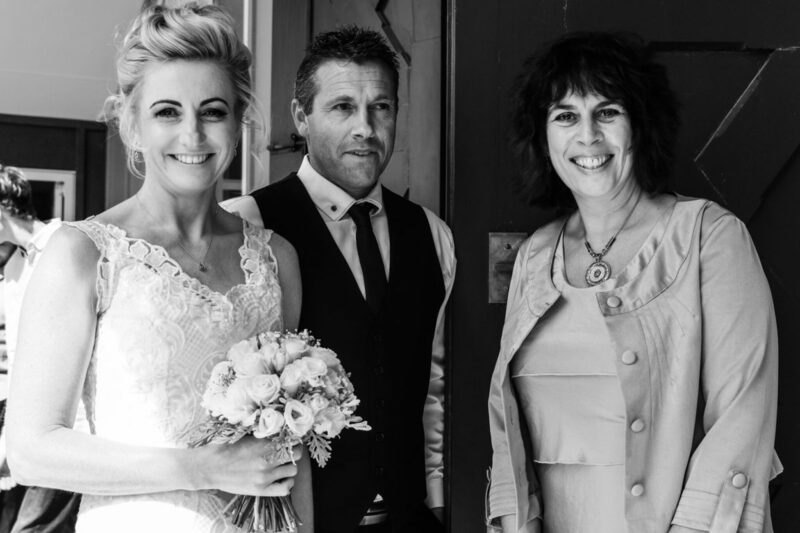 We meet with Beth on numerous occasions, always leaving feeling excited and content, Beth just made it all seem so easy and it was! I am really looking forward to meeting you again. 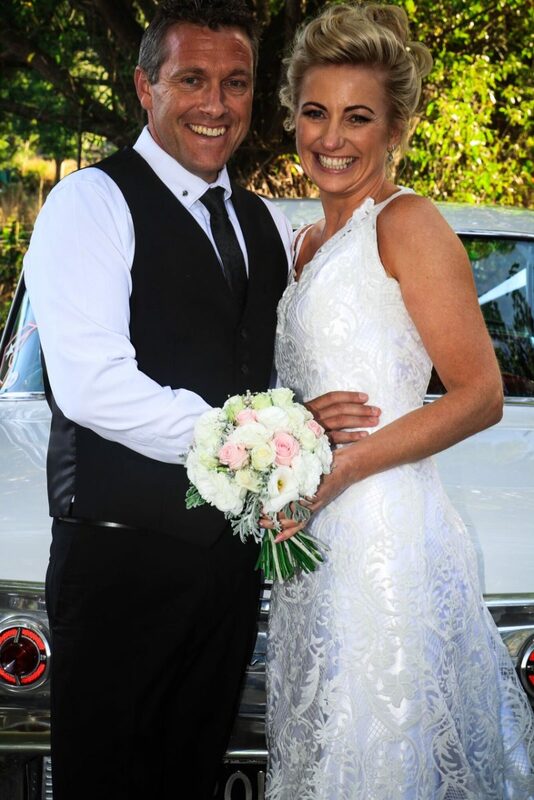 Thank you once again for a perfect day you were so lovely and very calming to both Chris and I on our very special day. 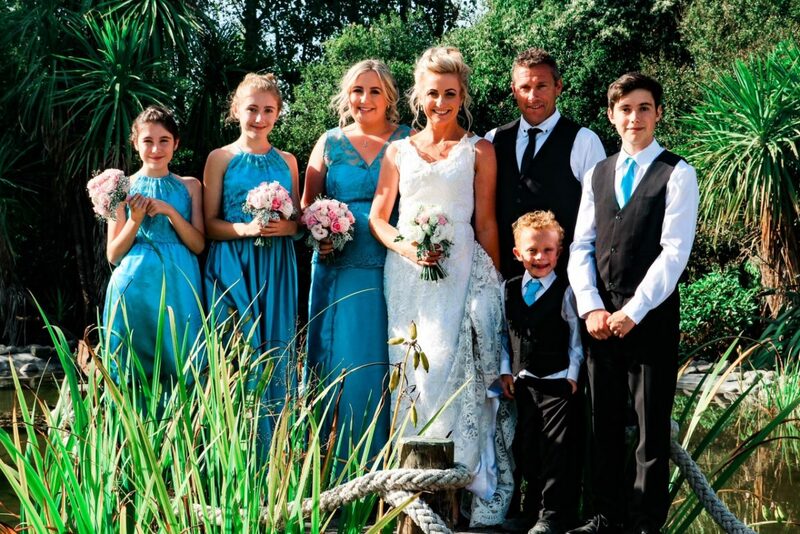 It’s amazing with making this commitment to each other what it means to the whole family….now it is concreted in and everyone feels safe and secure in our lovely blended family! 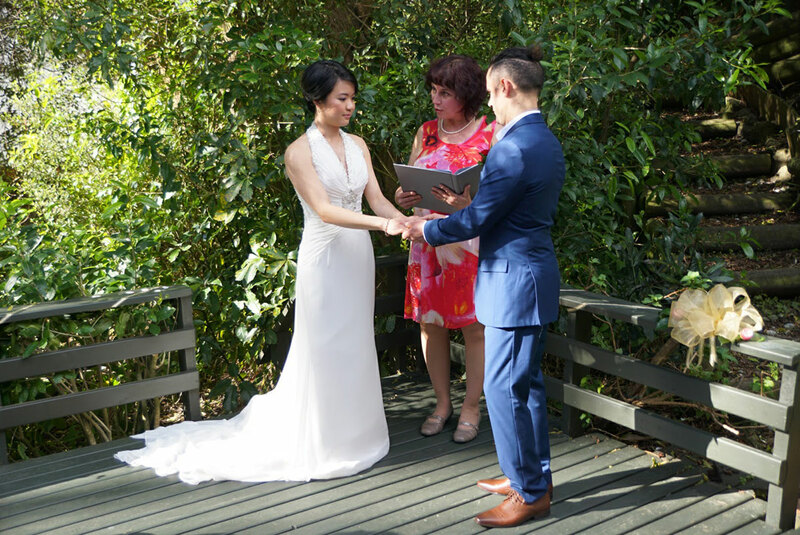 Thank you so much for the amazing job you did as our celebrant, we are so happy we chose you, you made our day just that much more perfect! Once again thank you so much Beth! 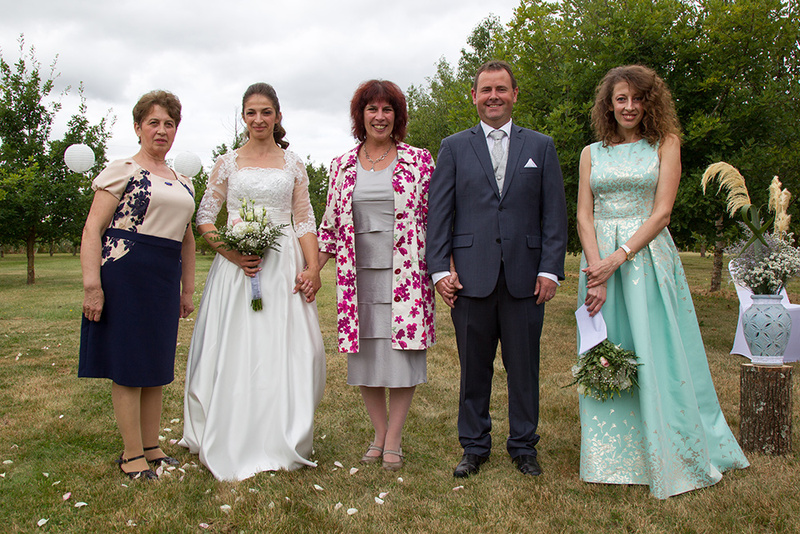 It was a very relaxed and fun day with lovely and genuine ceremony! With greatest gratitude I write this. 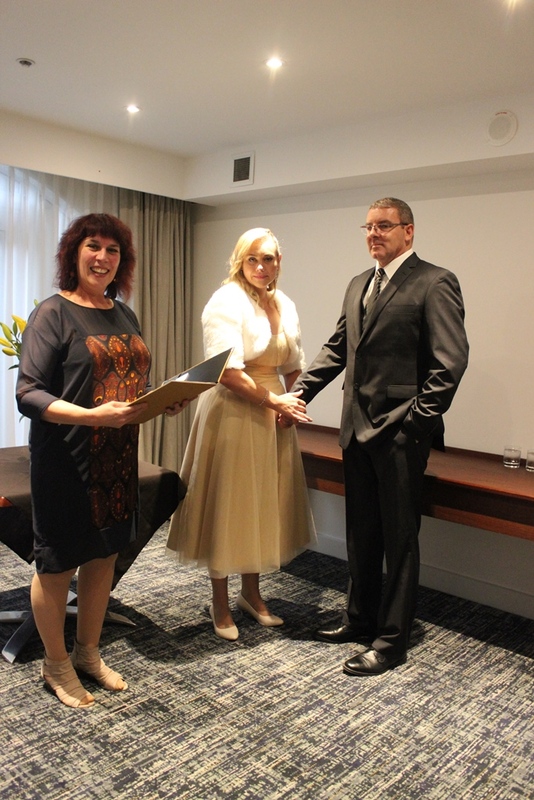 Beth Dunn Marriage Celebrant service was an honour having to santify our Union. 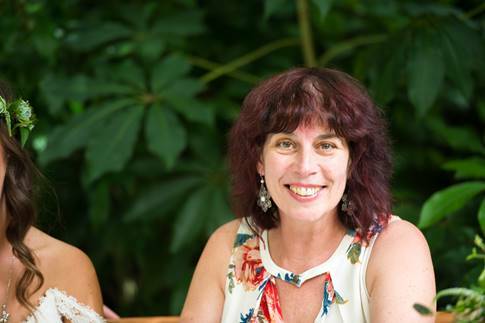 Luis and I recommend and encourage those to use this service to feel comfortable, loved and above all made to feel impowered to set the finest detail to which Beth excels in excellence to achieve. With the greatest Thanks. Thank you very very much for today. You’ve helped us so much in making today so beautiful with your experience and intuition with everything from understanding our wishes, getting the venue set up and making sure we had everything in order for it all to go smoothly. 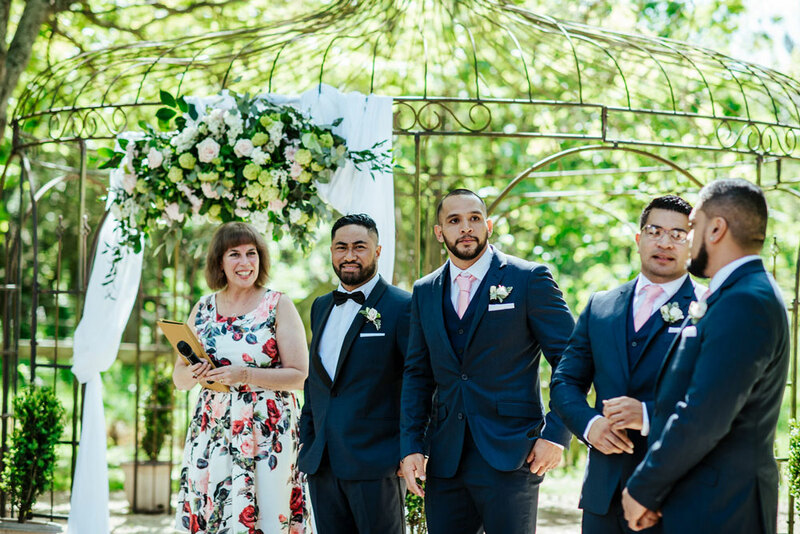 Our family were very impressed with how you handled the ceremony and your easy and professional manner. 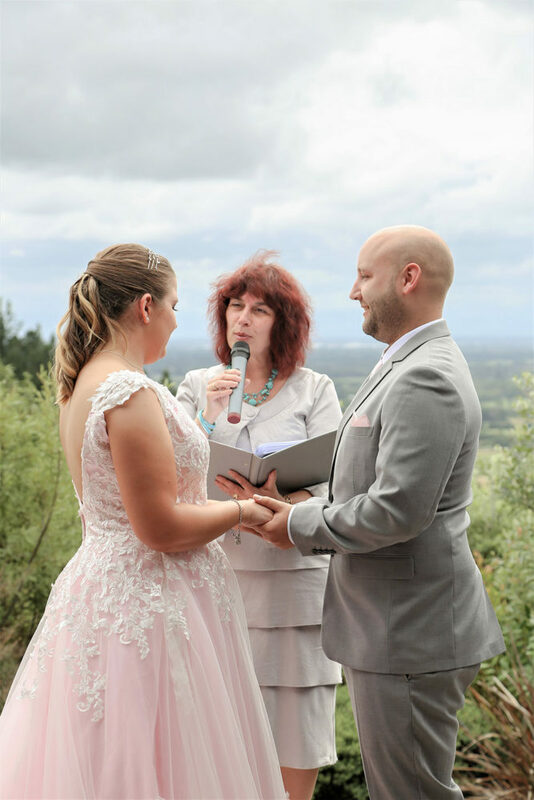 You’ve helped make our big day just as we hoped it would be and we’d like you to know how much we appreciate you being a wonderful marriage celebrant for our ceremony. We’ll be sending photos your way soon. 🙂 Take care and have a wonderful week ahead Beth! 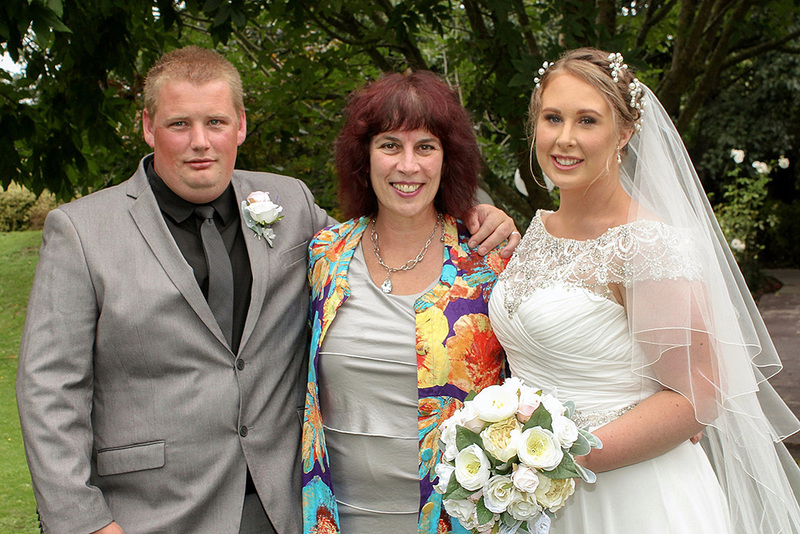 Beth is easily approachable, we felt comfortable with her from the moment we met. 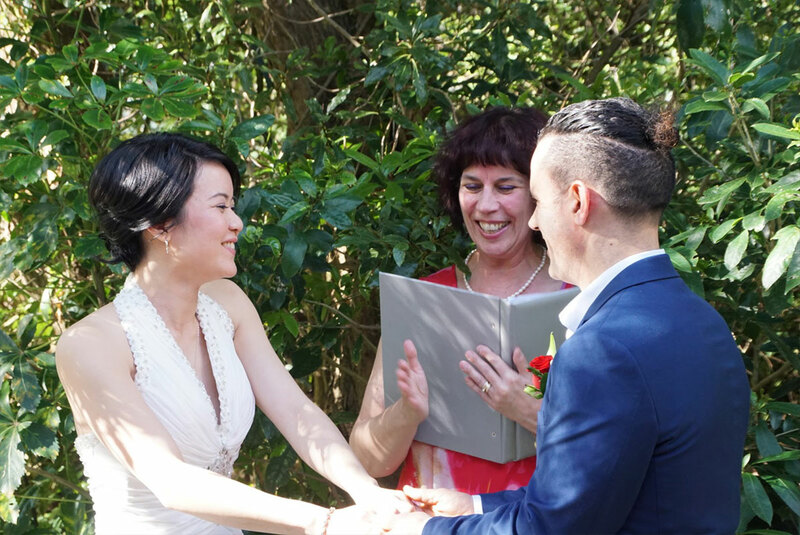 Beth was happy to explain the process, including her role as a celebrant, to fill in our many gaps of knowledge. 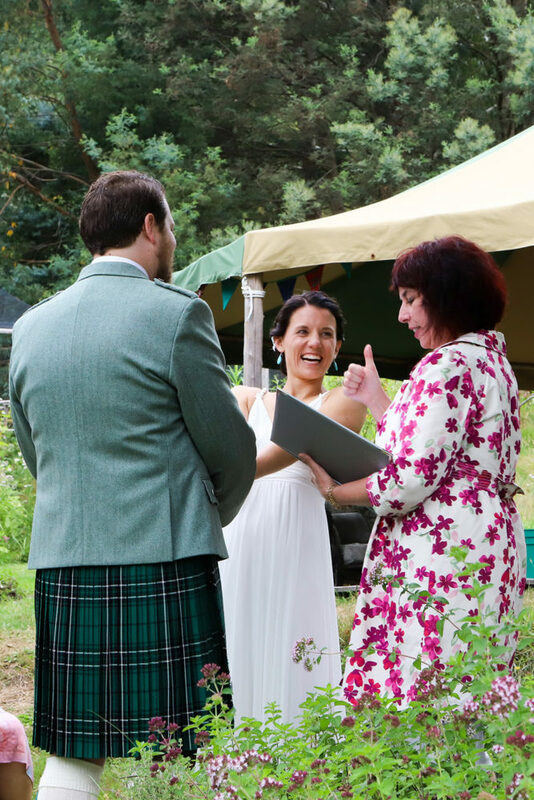 Once we engaged Beth as our celebrant we found her extremely professional, supportive and patient. 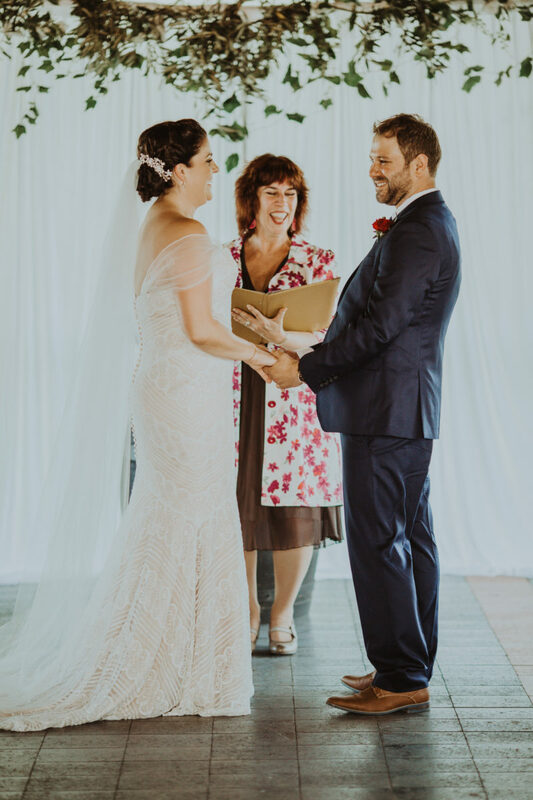 We felt supported throughout the process through the materials and ideas Beth provided, to the way she brainstormed ideas we had to help put them in reality, to the gentle prompting and support given to ensure my husband to be had his vows written in time! 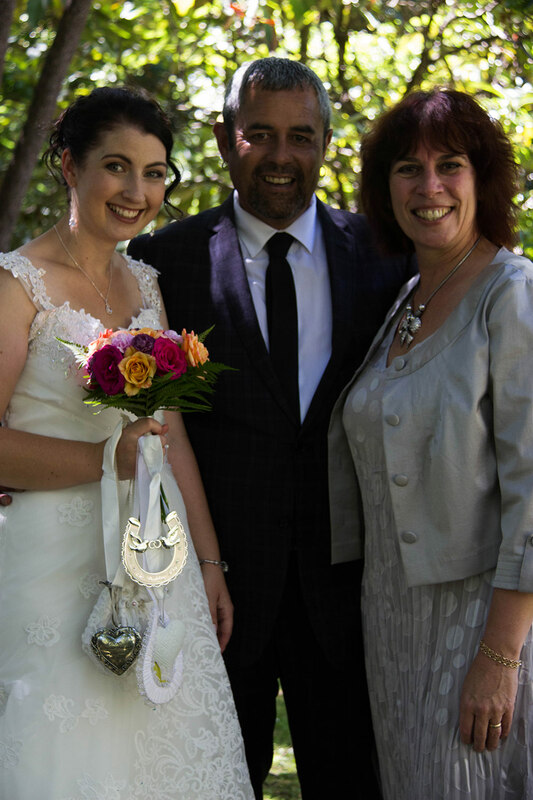 On the day Beth was friendly, professional, relatable and ensured the ceremony was about us, and the joining of our families. She set our minds at ease being organised, prepared and adaptable. We didn’t make the role easy, with a miscommunication on starting time, forgetting our flowers and the wind trying to interrupt our plans! Beth kept the flow going and nothing seemed to phase her. 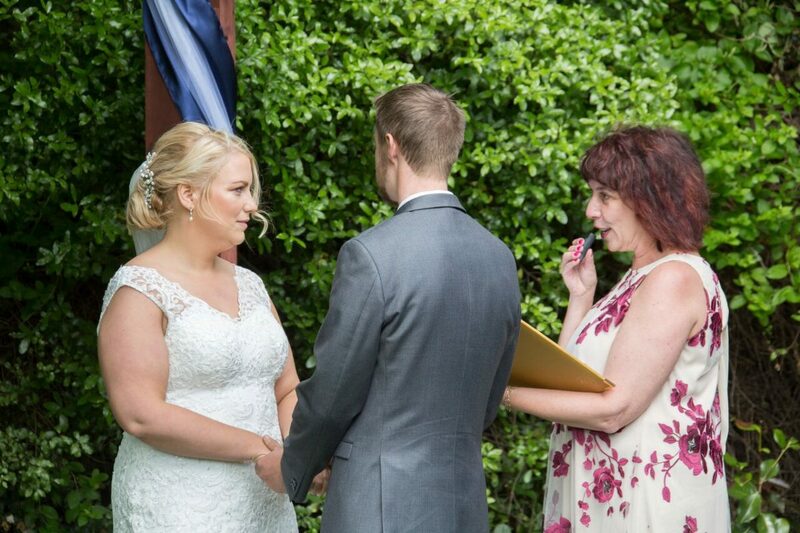 We really want to thank Beth for her professional and supportive role in our wedding. 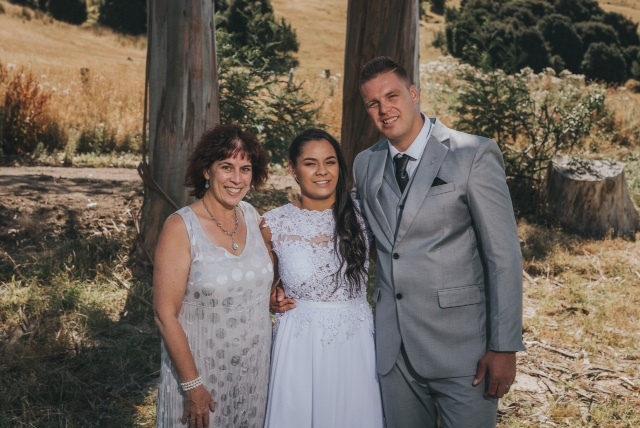 Hi Beth, we just wanted to say thank you for being the celebrant at the wedding of our daughter Kimberly Walker to Josh Groube, on 6 February. 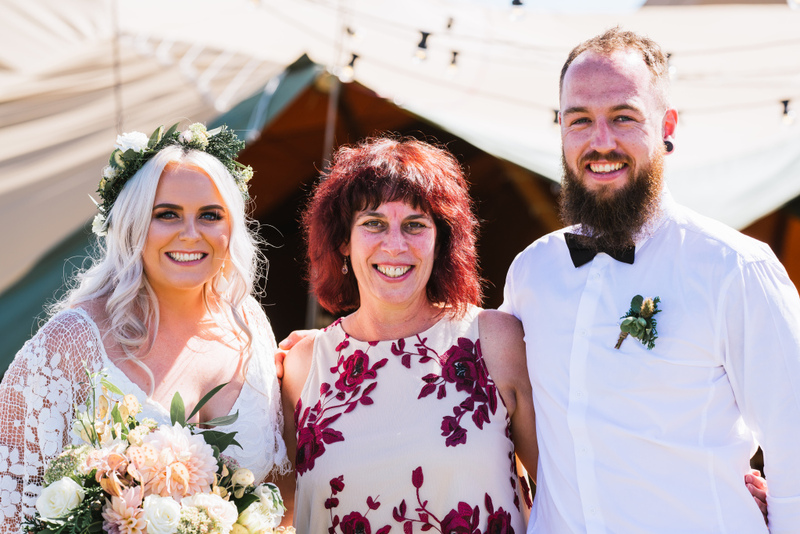 We were incredibly grateful to have someone so professional, caring and organised.Your work with Kimberley and Josh meant that there was one part of the wedding we simply didn’t have to worry about. It was a lovely to see how much they enjoyed working with you and how you had their complete confidence. 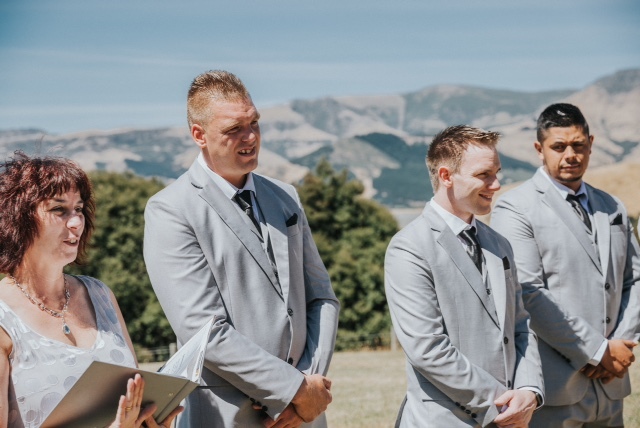 Both the rehearsal and the ceremony could not be faulted thanks to your attention to detail, relaxed style and warm empathic manner. Thank you so very much. 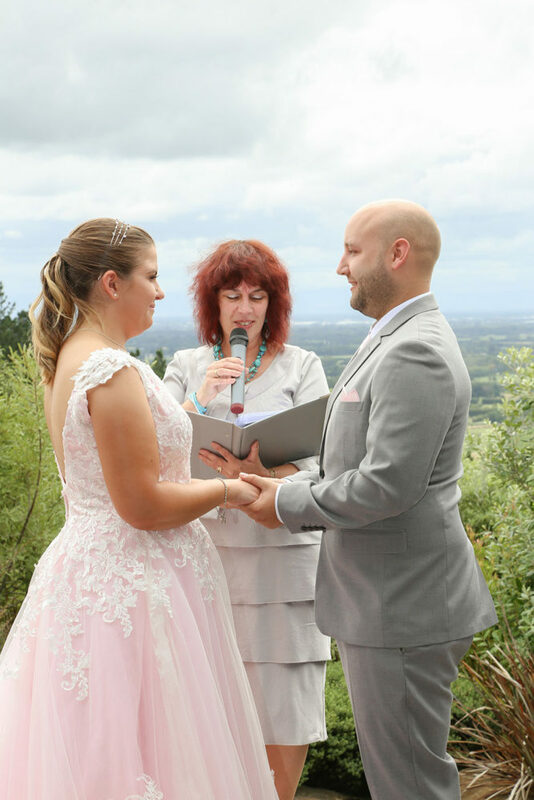 We would highly recommend Beth Dunn as a wedding celebrant. She was warm, friendly and highly professional. From the moment we started working with Beth she went out of her way to make sure it was a positive experience. 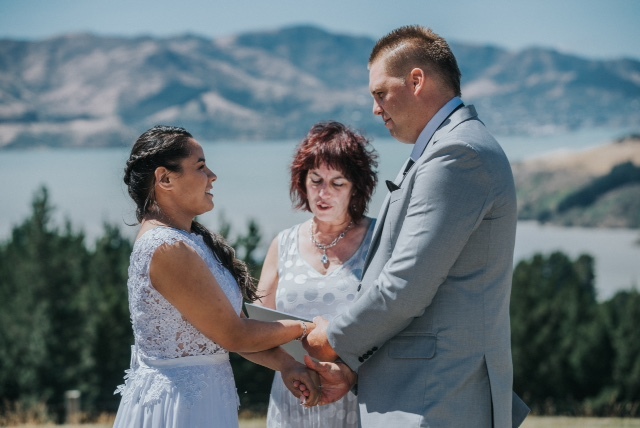 With the high quality of material she provided and her ongoing guidance, we were able to create a ceremony that was unique to us. Beth ensured that the whole process was stress free. 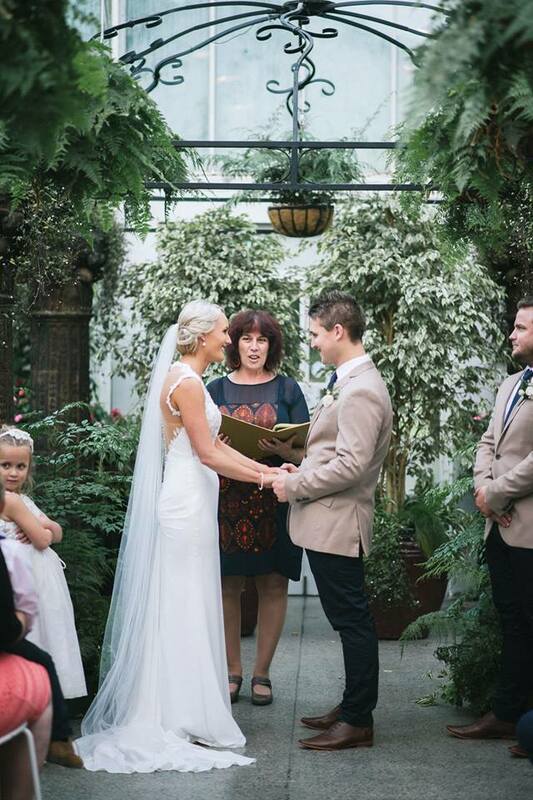 We couldn’t have asked for a better ceremony or a better celebrant. 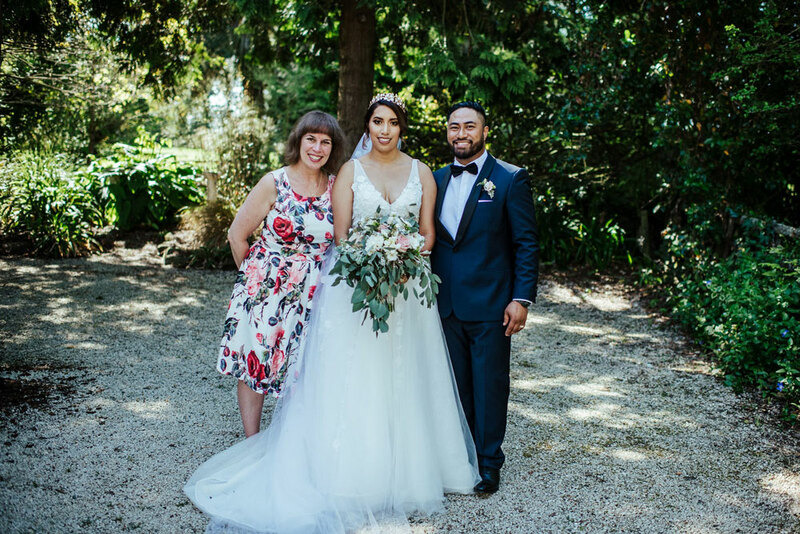 Thank you so much Beth for helping make our wedding day so memorable and special. We had decided to get married within two weeks. 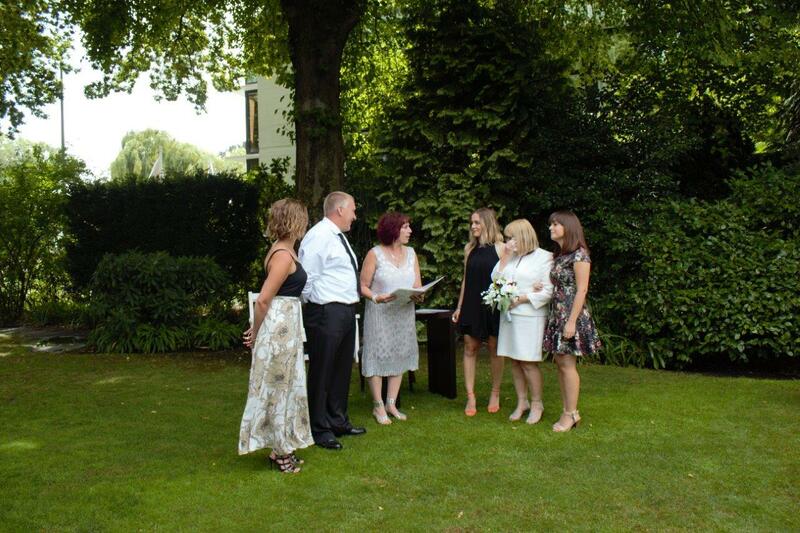 It was to be a very private intimate wedding with our girls and ourselves. Having no idea who to contact I googled marriage celebrants. Beth responded very quickly. Beth met with us and soon became part of our family. Beth is very easy going and so caring. She has a great sense of humor. I thought it was lovely that Beth was even concerned about what colour I was wearing so that she could choose an outfit that did not clash with our attire. Beth also had the tissues ready when needed. 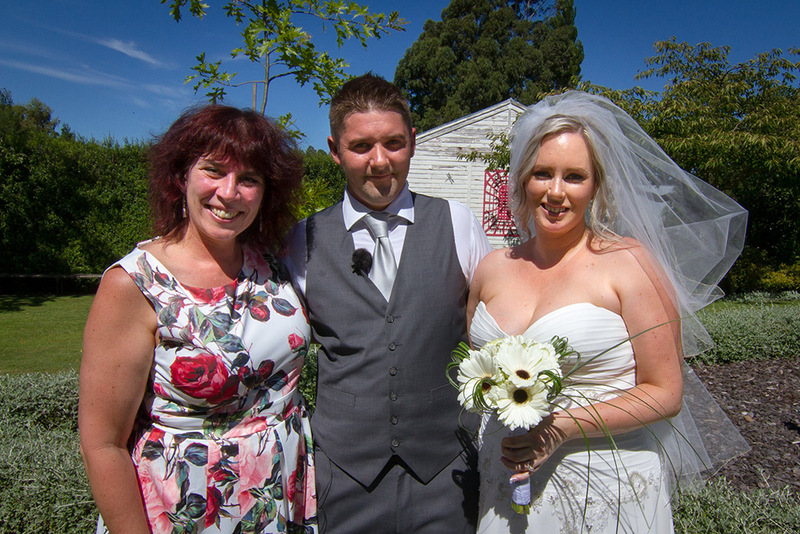 It was a very special day and Beth was a big part of it. It was a very small event and Beth made us feel very special. Upon leaving we were presented with a bottle of champagne from the staff that Beth has kindly left for us. 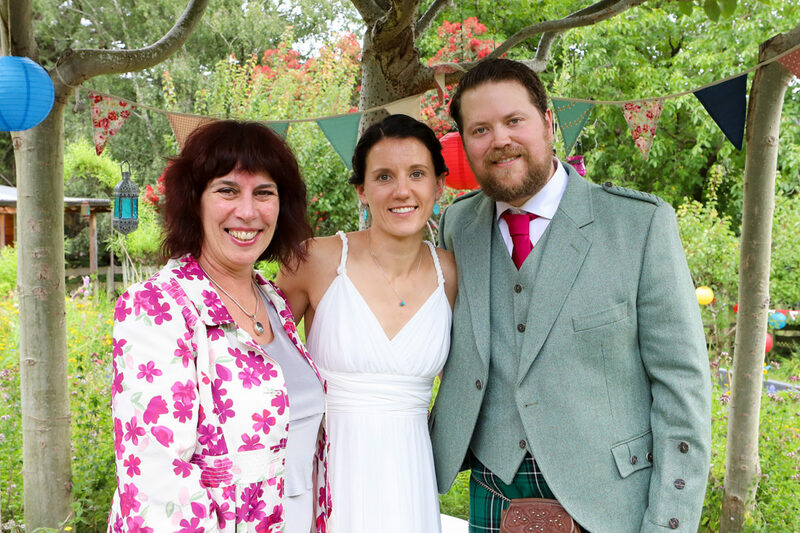 I would and will recommend Beth to anyone considering a celebrant. Beth will not disappoint and just manages to fit and make you feel very comfortable. Thank you Beth from all of us. 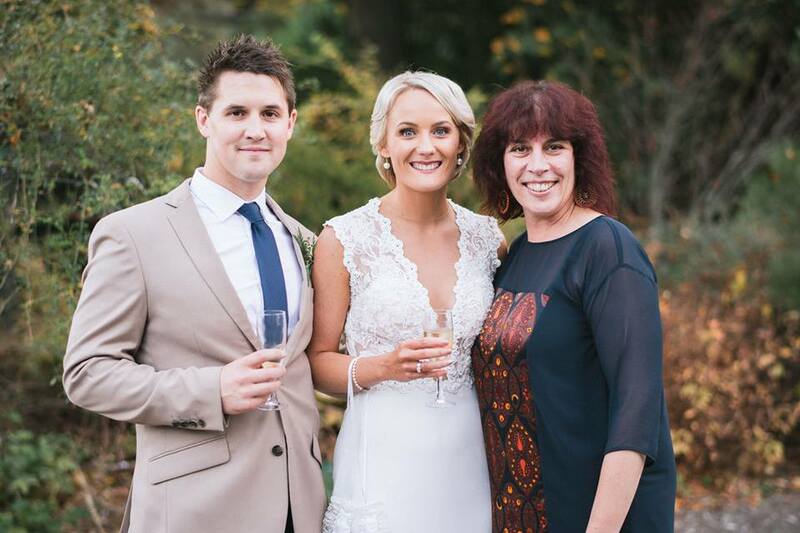 Beth is a special person – charismatic, committed, loyal and enthusiastic. Success is the key note in all that she does. She is a good citizen with high moral standards – an excellent role model with a community focus. She shows a genuine desire to serve her community. She is a superb communicator – she speaks fluently and commands attention, whether in large meetings or small groups. She also writes fluently and clearly and has the knack of balancing an important message with warmth and humour which is a real skill. Beth is a woman of worth, who I recommend to you without reservation! 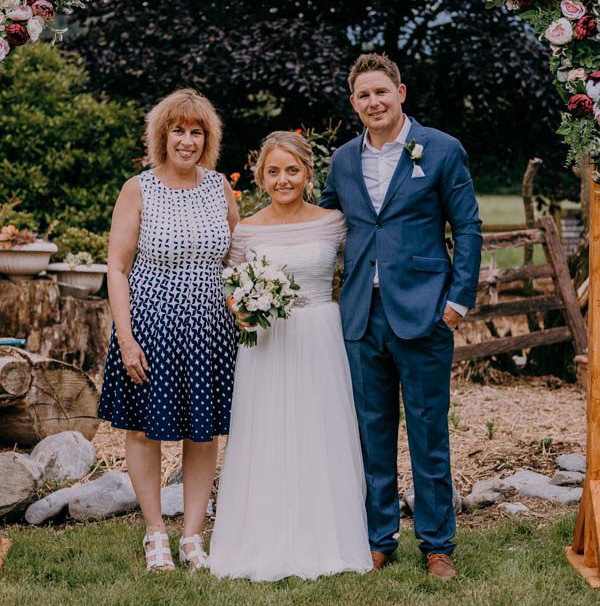 Beth, being the vibrant bubbly person she is, handles any situation with professionalism and will perform her duties with reassurance & support to all her couples. 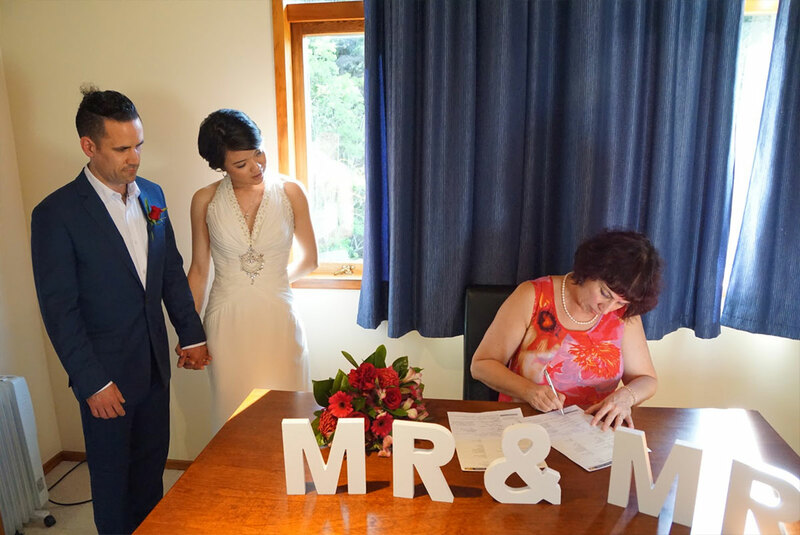 Her attitude to life makes her an exceptional person & ideal Marriage & Civil Union Celebrant. 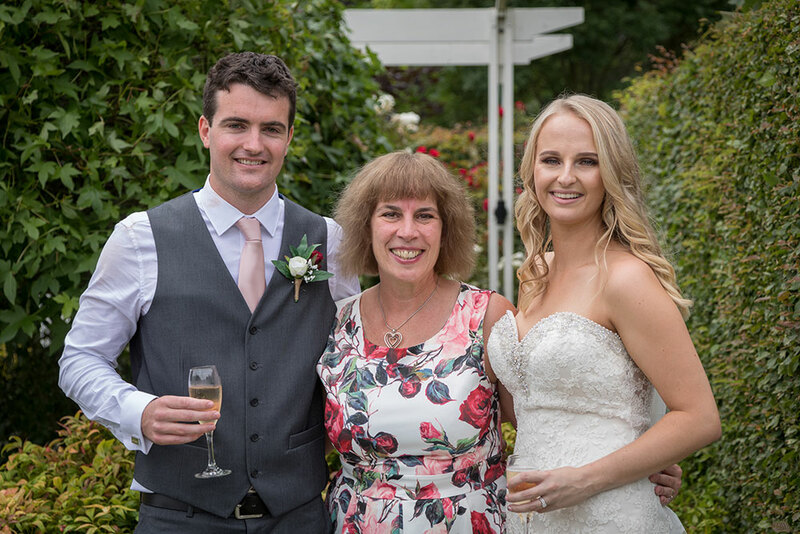 A Wedding is such a special day and with Beth’s personality, her smile & her wisdom, I feel she would be the icing on your cake (and a real asset) to make it the most memorable day for any couple. 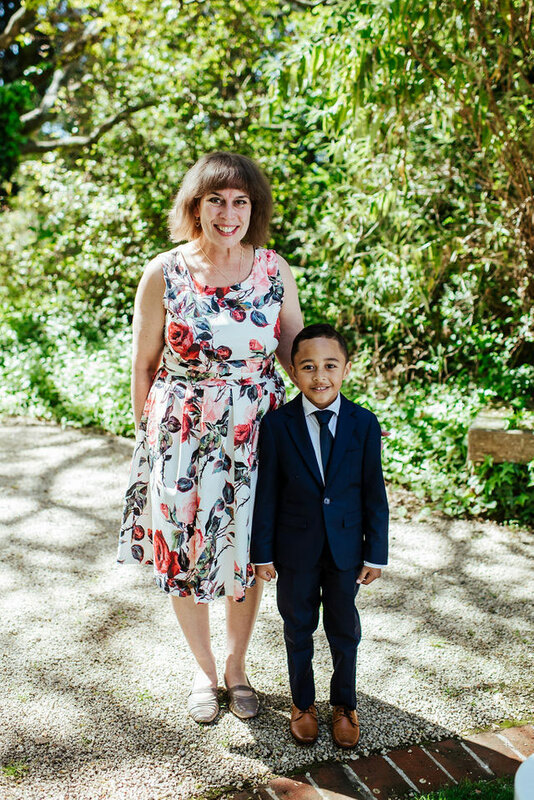 Beth is a passionate person, with unstated belief in making the world, and particularly her community a better place. Her attributes are numerous: honest and sincere, highly intelligent, articulate, always positive and a great communicator, she is blessed with a personality which is both outgoing and inclusive. Beth has the ability to put people at ease, because her interest in them is always genuine. 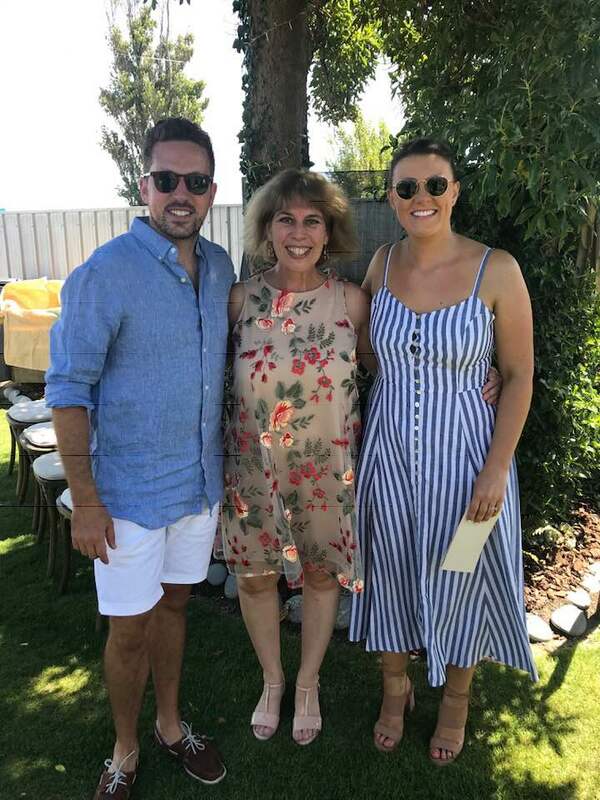 Our Daughter is getting married next year and has booked Beth as her fervent wish, shared by her family, was to have her as their Marriage Celebrant on the big day. Such is the high regard in which Beth is held & the confidence we have, in the special touches that she will bring to the ceremony. She carries our highest possible endorsement!